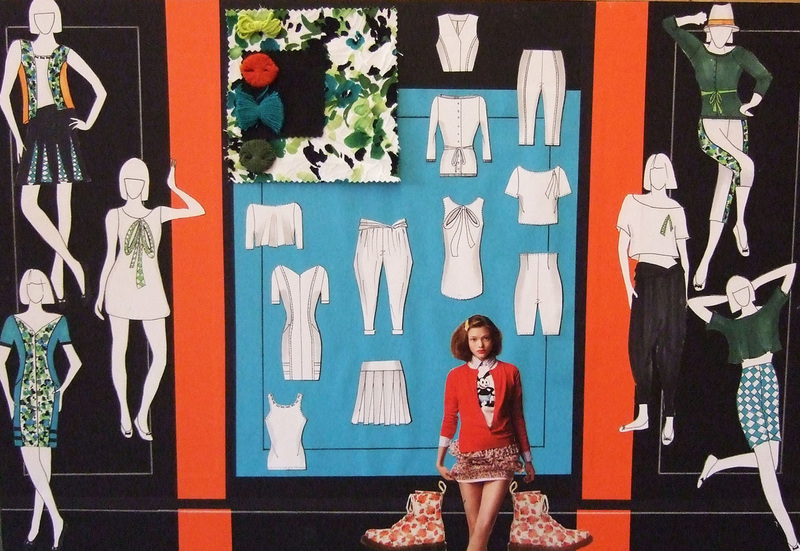 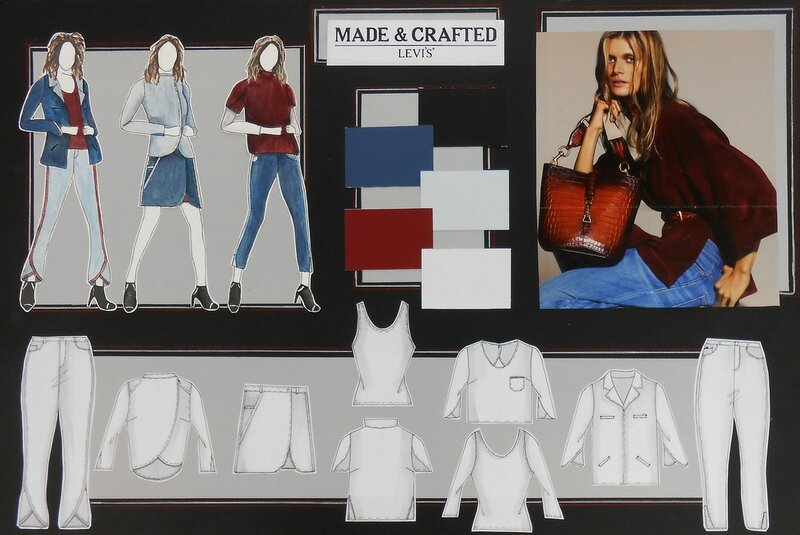 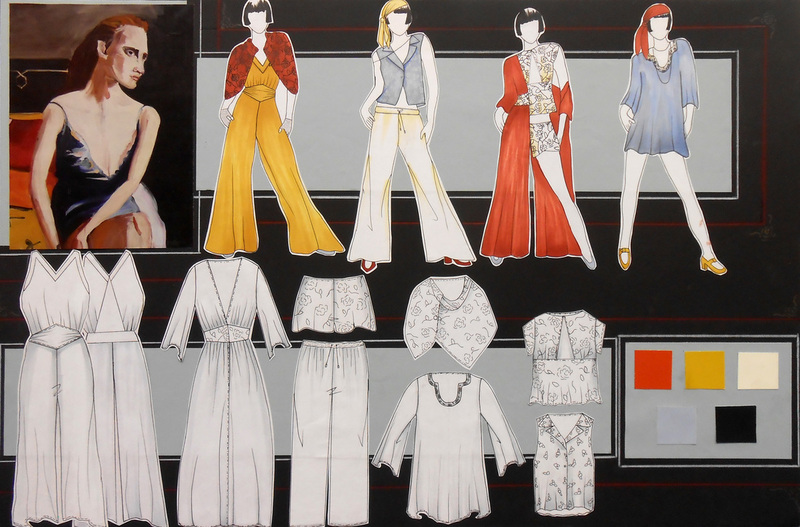 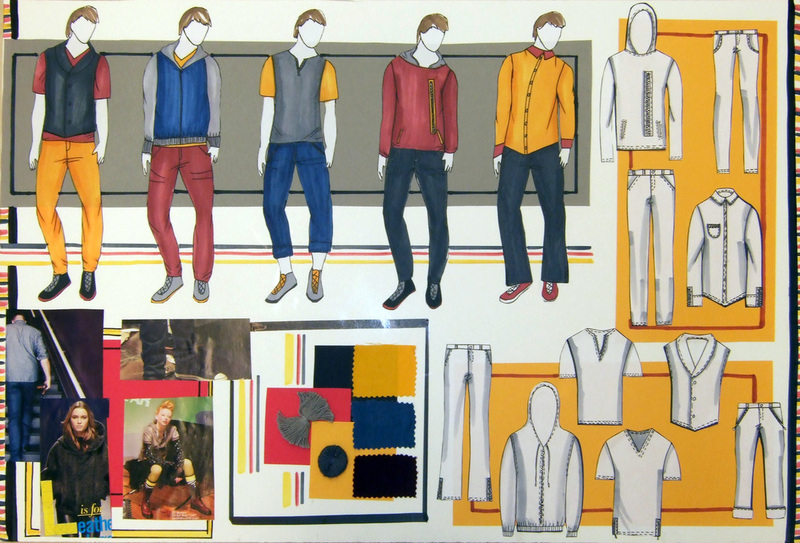 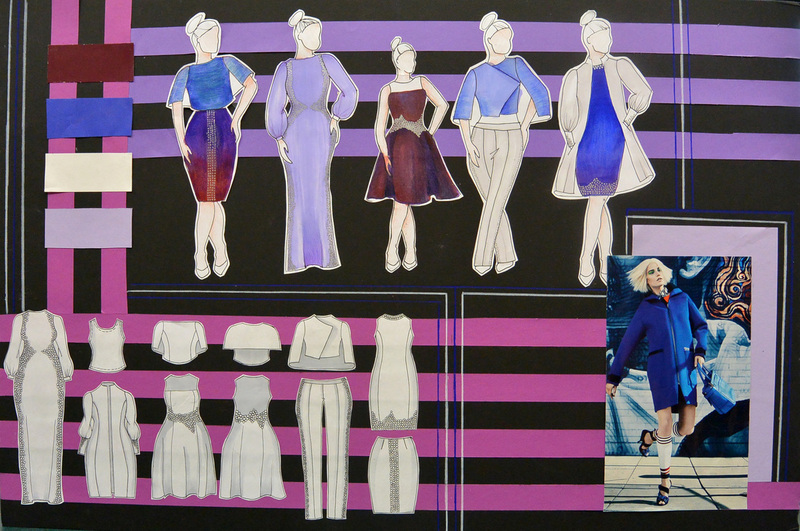 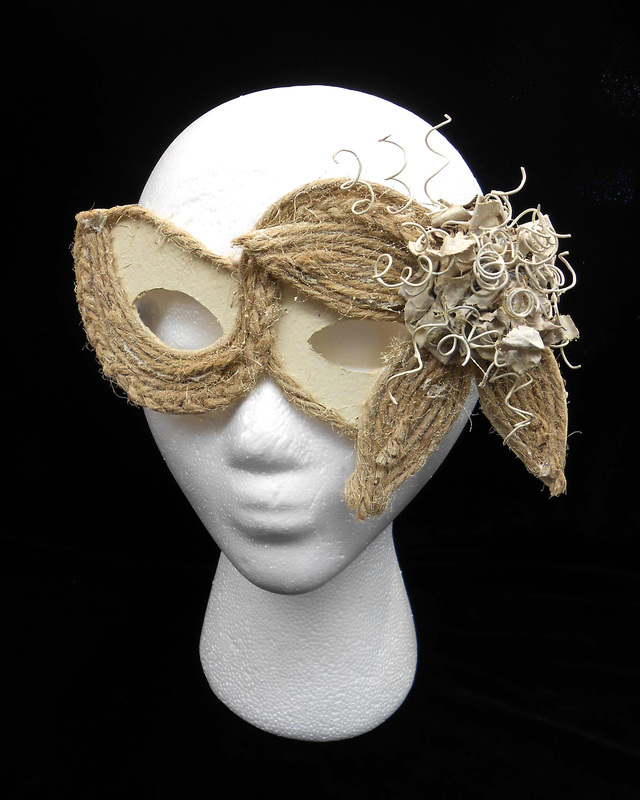 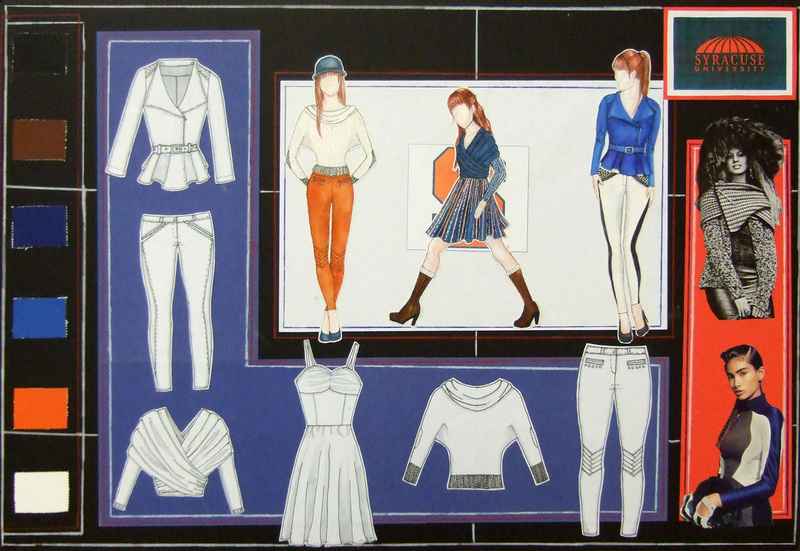 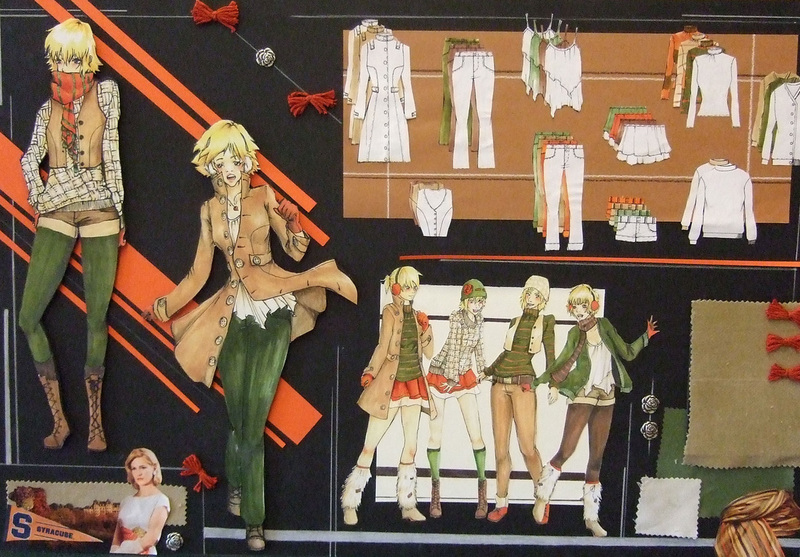 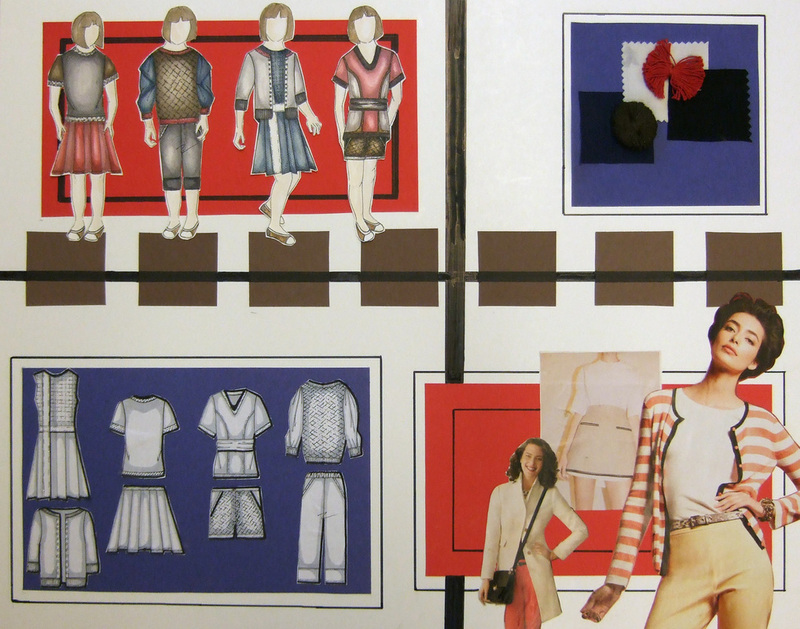 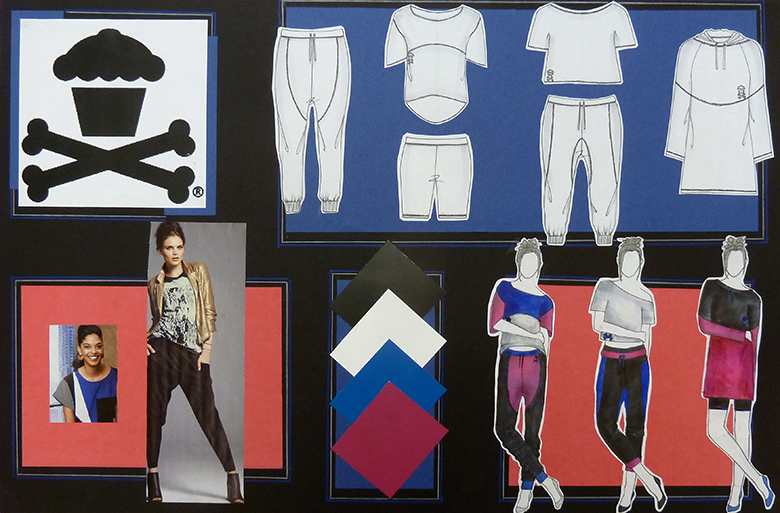 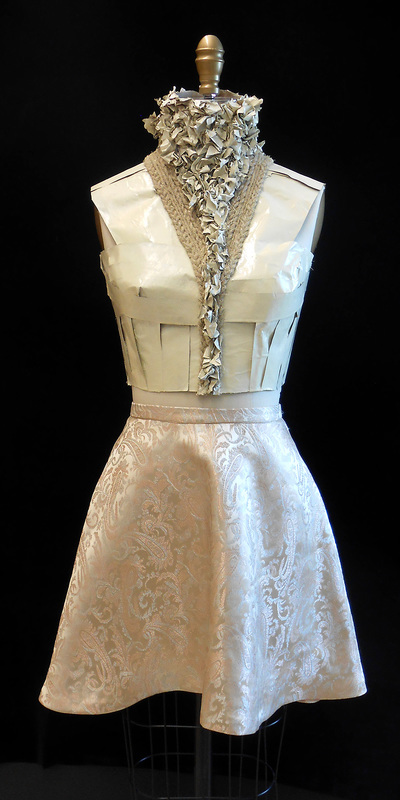 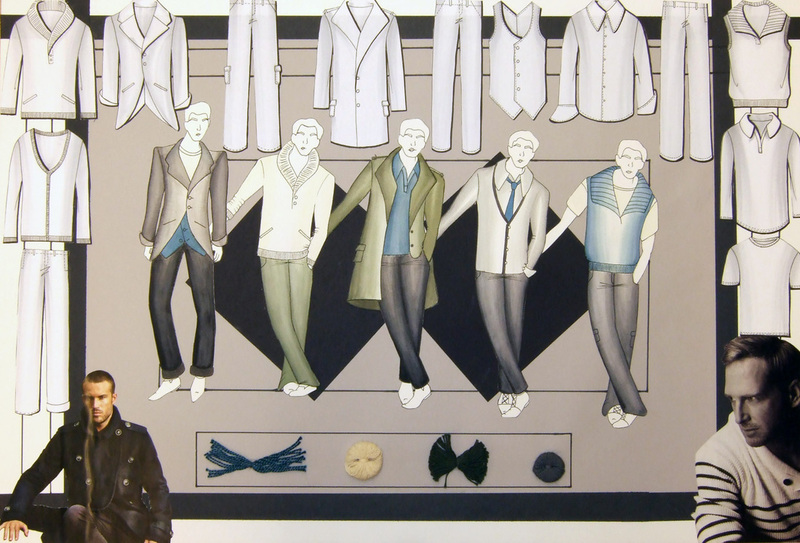 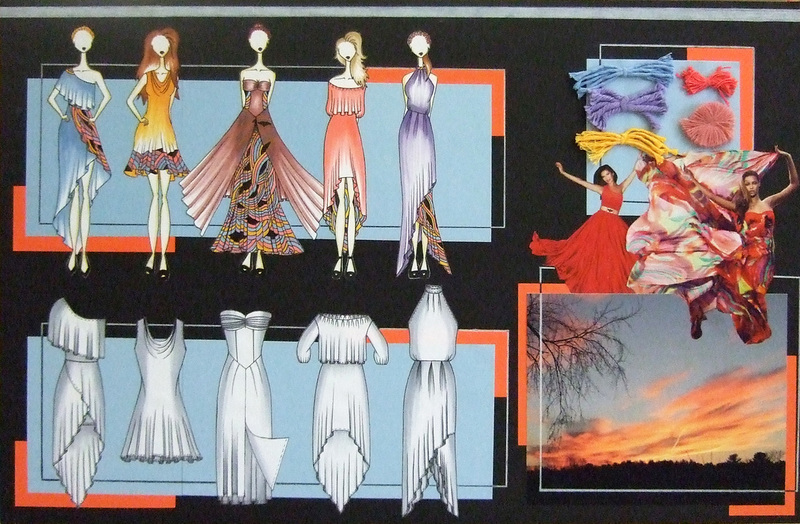 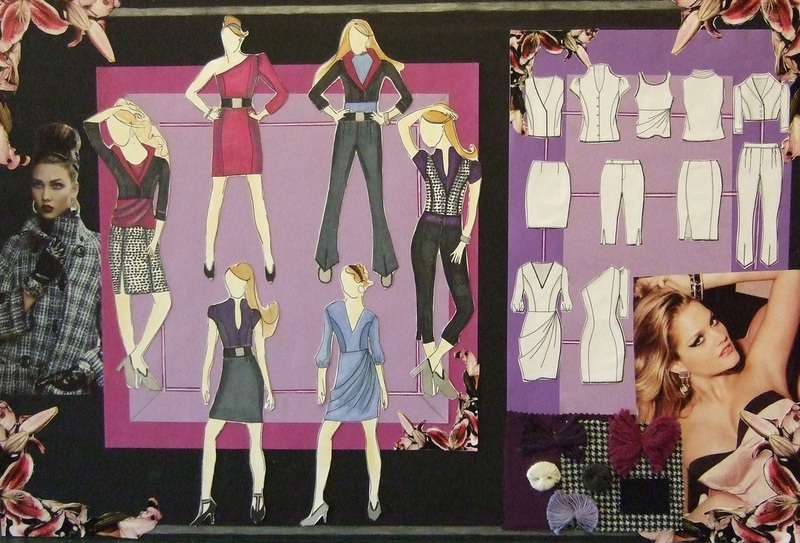 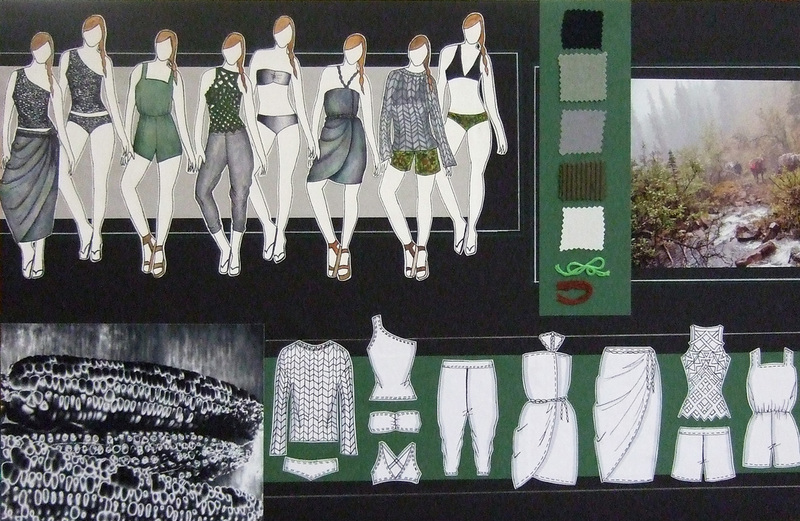 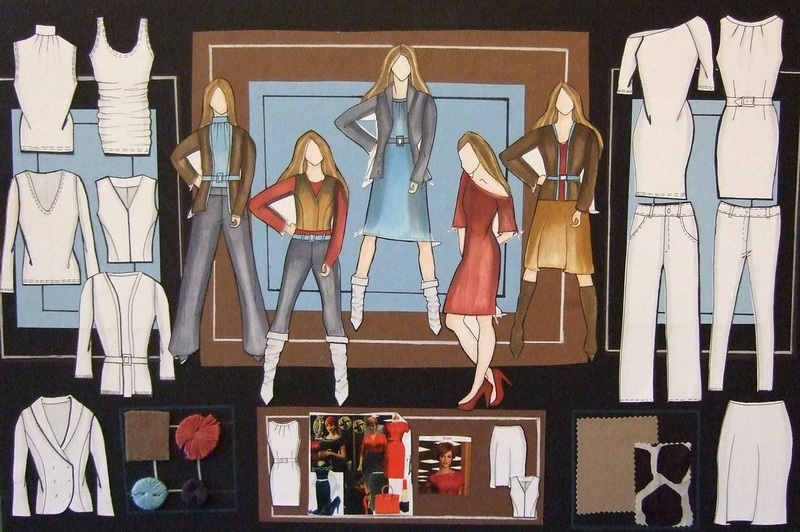 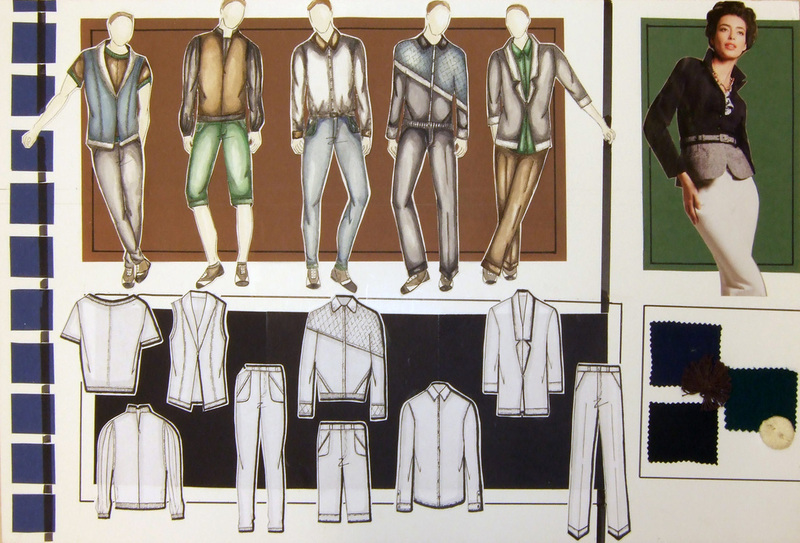 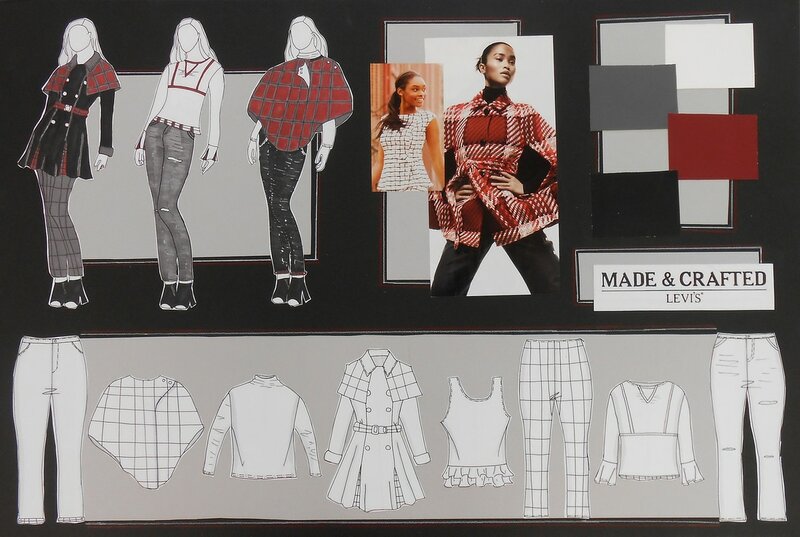 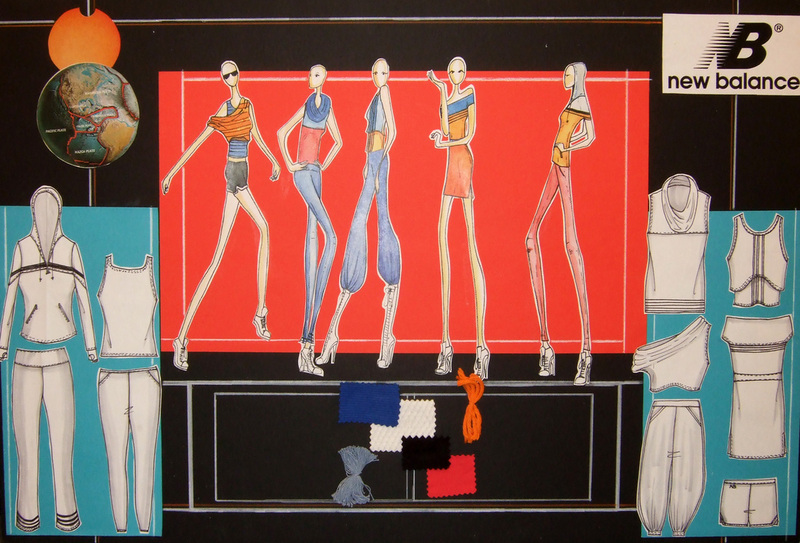 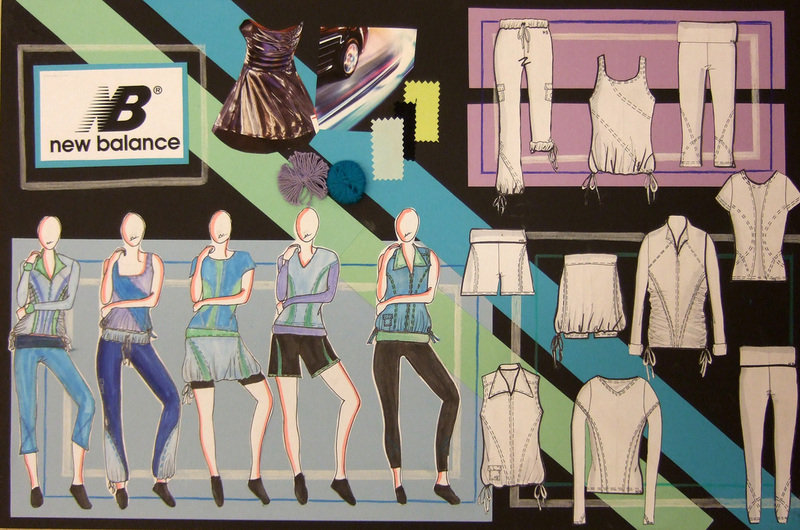 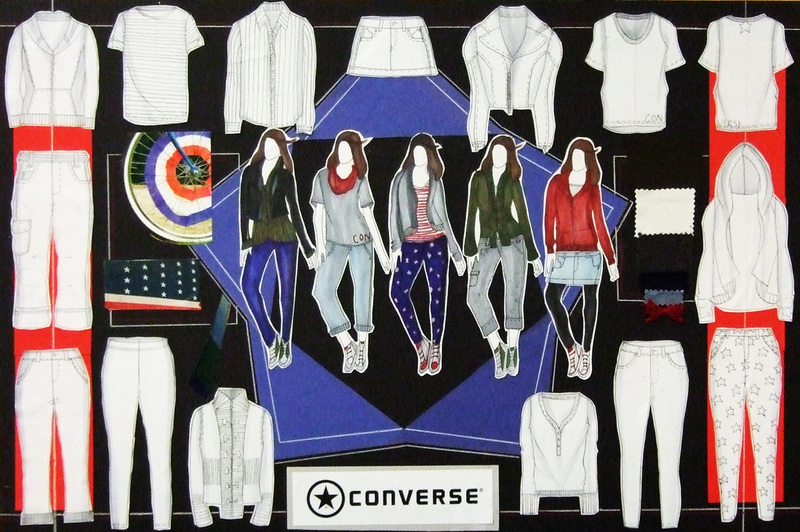 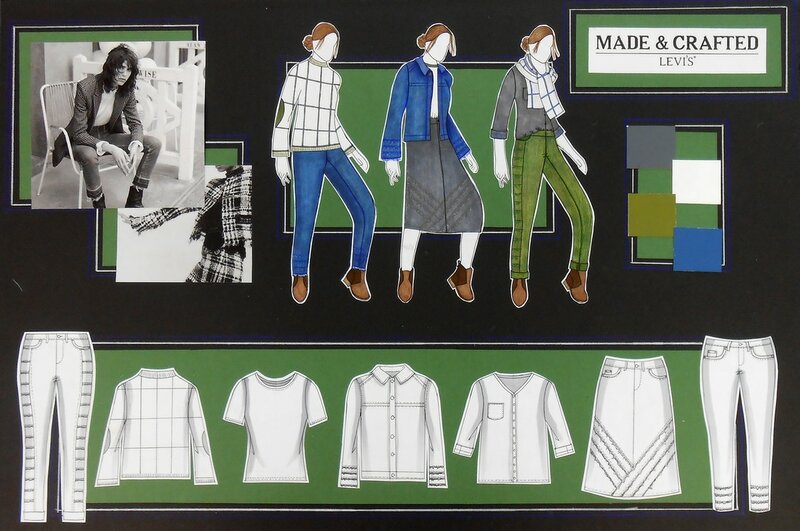 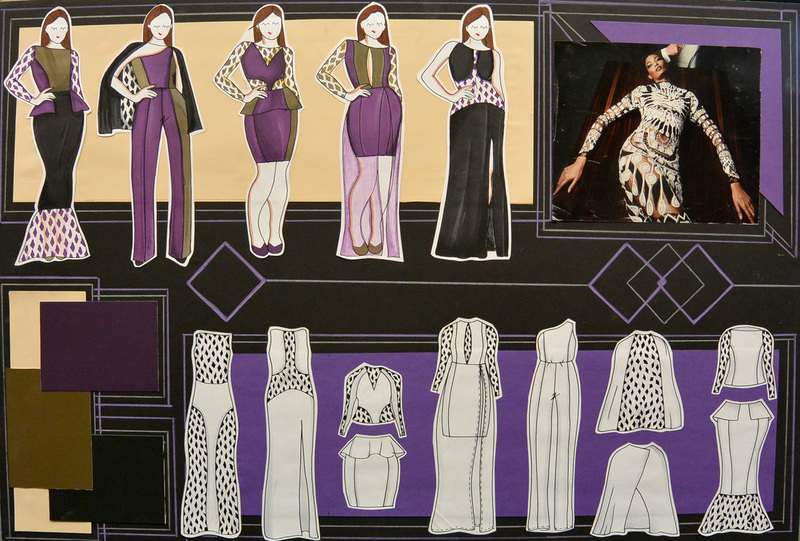 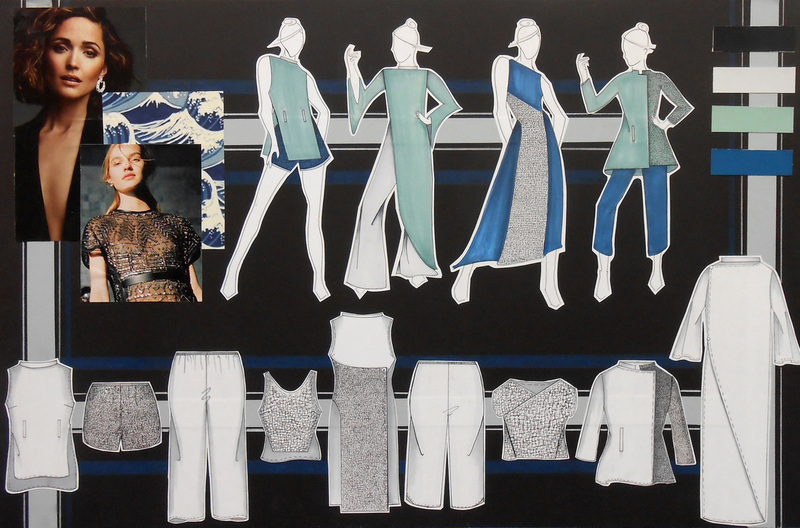 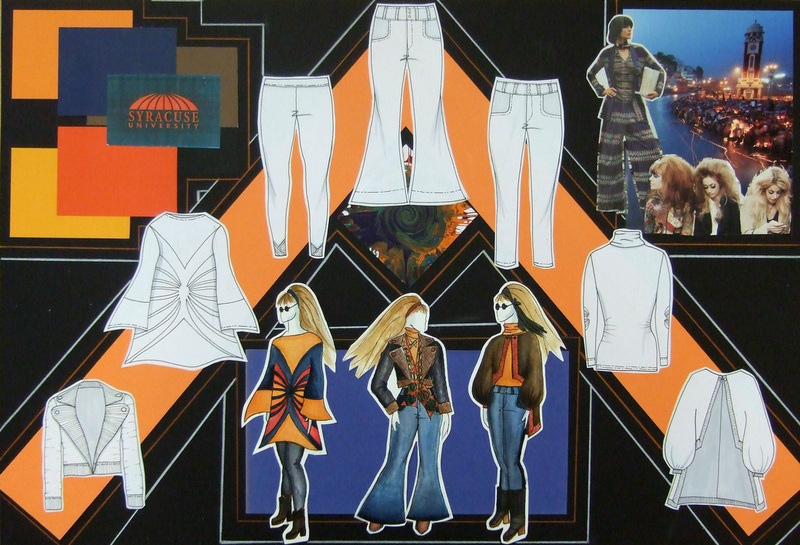 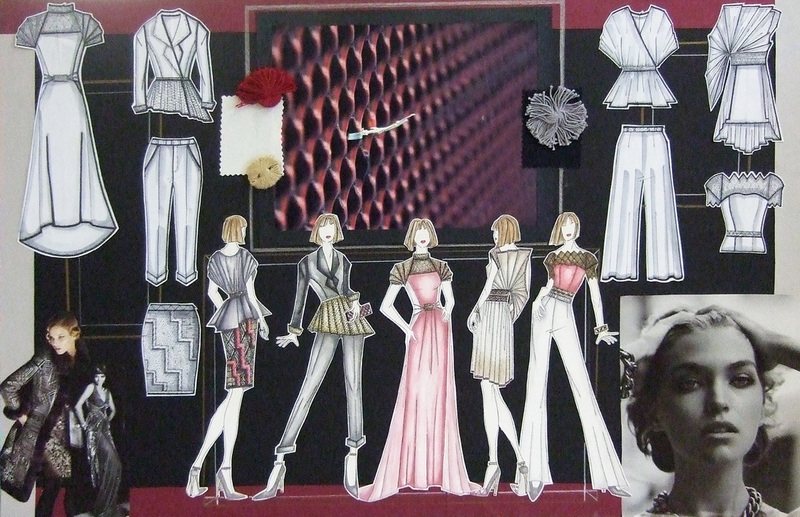 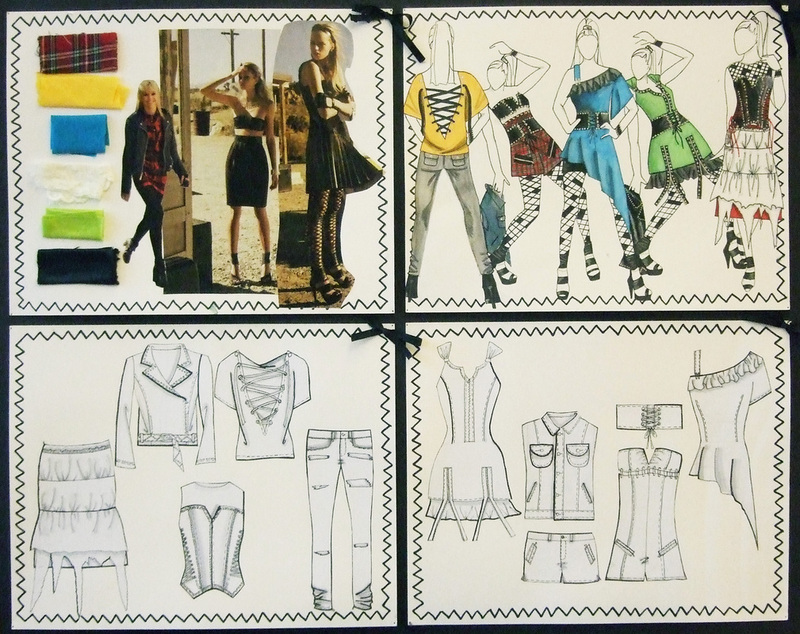 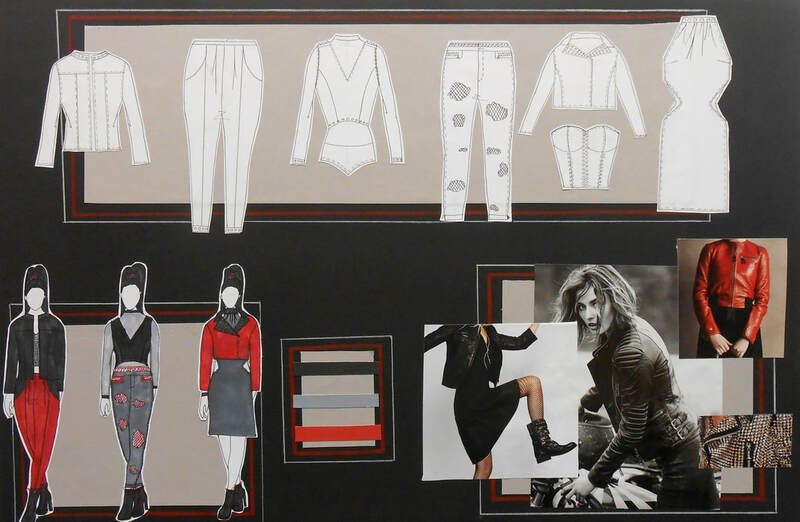 Fashion Design I is a semester long course which teaches students how to translate their original ideas onto paper. 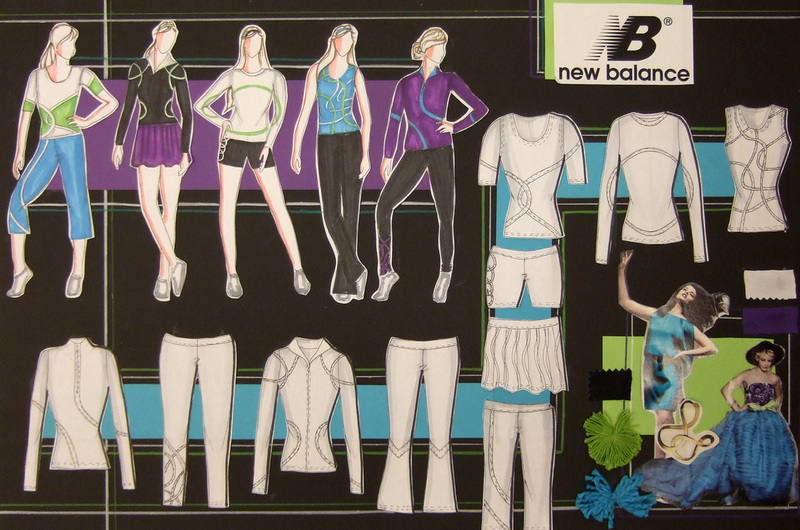 Students learn how to illustrate in a variety of media, create flat sketches and put together design presentations. 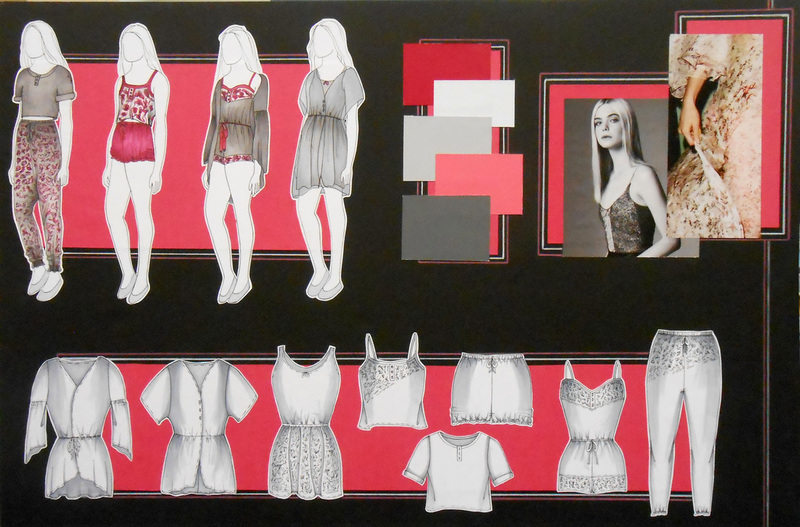 In Fashion Design II, students create additional design presentations for their portfolio and begin to sew their own garments. 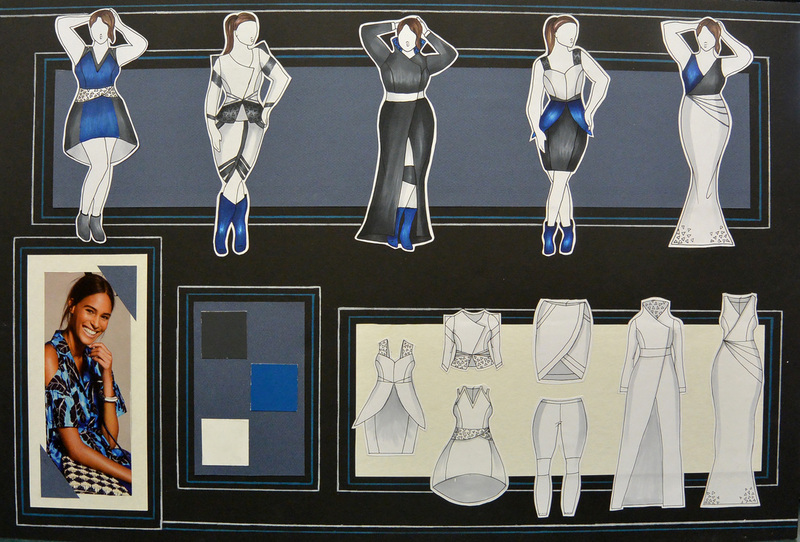 Below are a sampling of design presentations created by students. 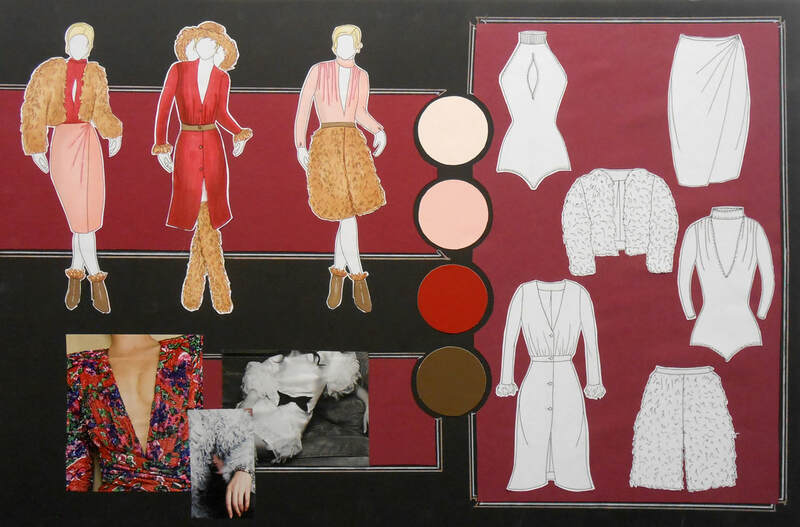 Decades Unconventional Challenge - working in teams of two students created a garment using unconventional materials inspired by their assigned decade. 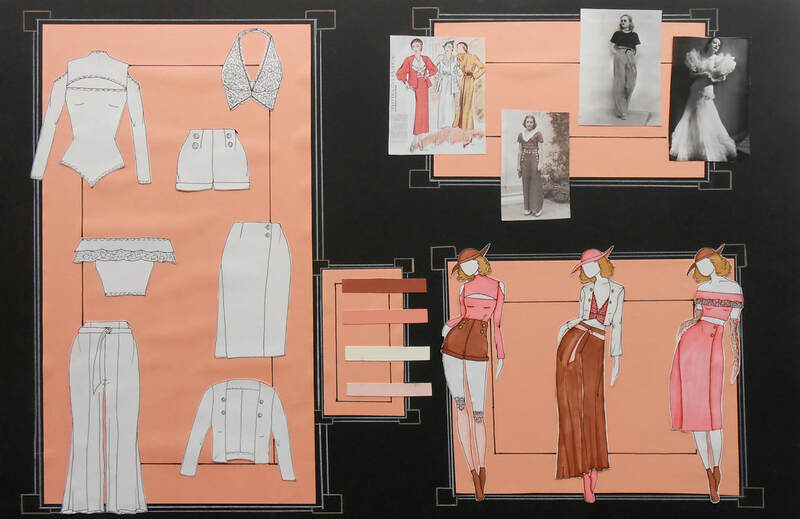 Decades Collections - Each student was assigned a decade and created a collection inspired by that decade. 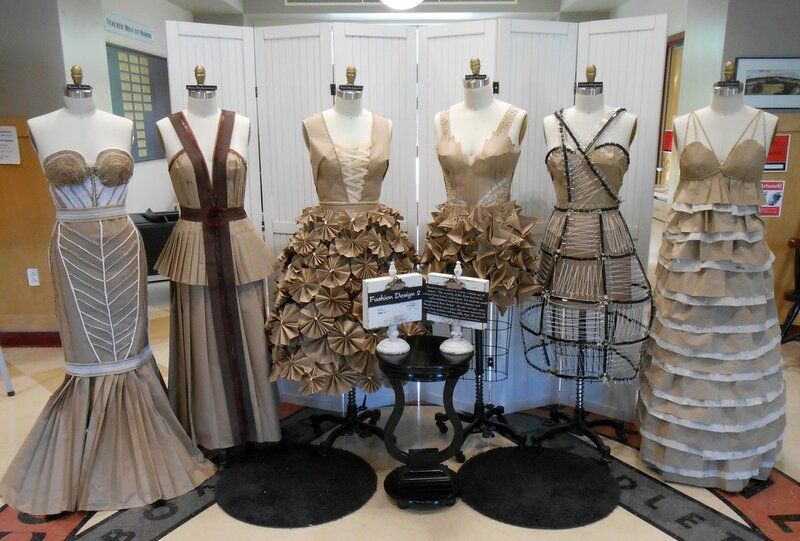 Fashion II - Recycled Materials Dress Challenge - Students created these dresses using only materials found in the recycling bins in the school. 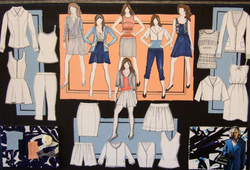 Fashion II outfits - Students created the skirts traditionally out of a fabric of their choice. 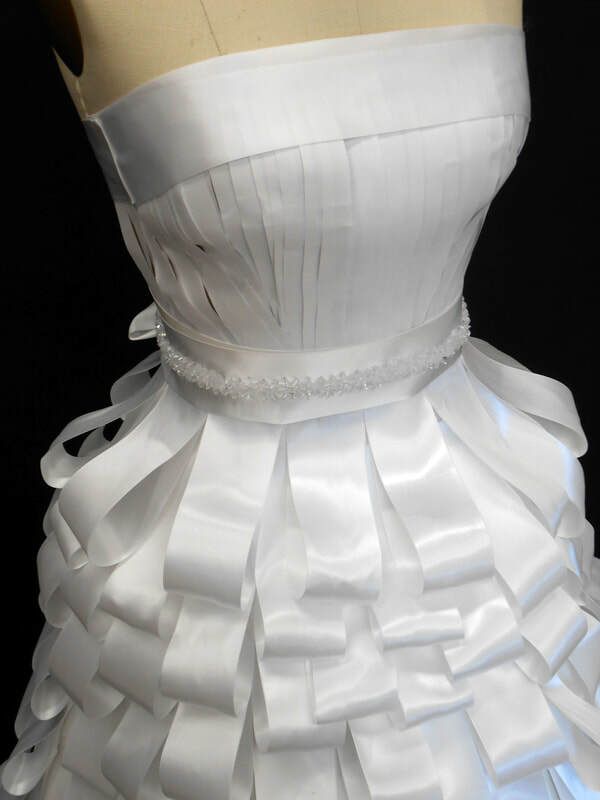 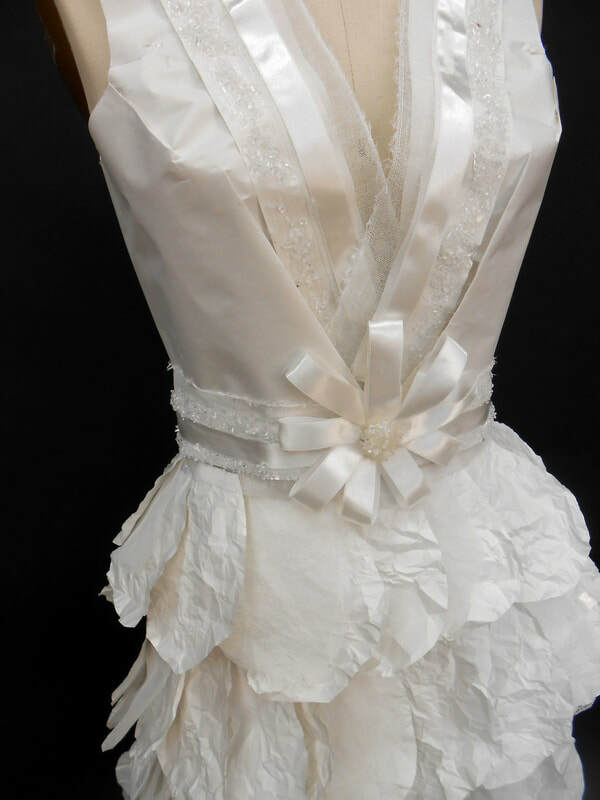 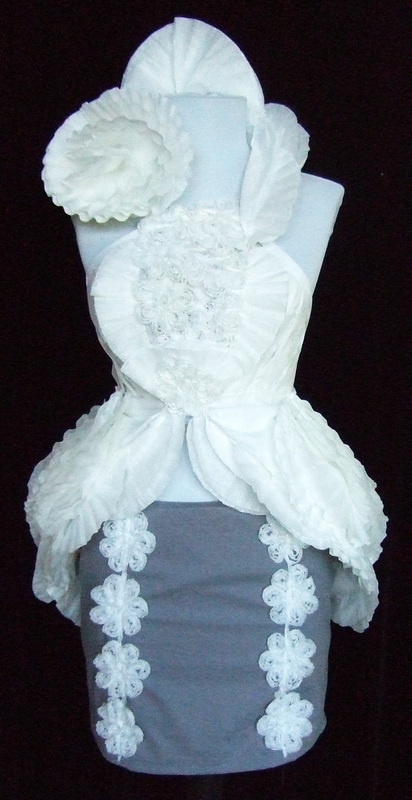 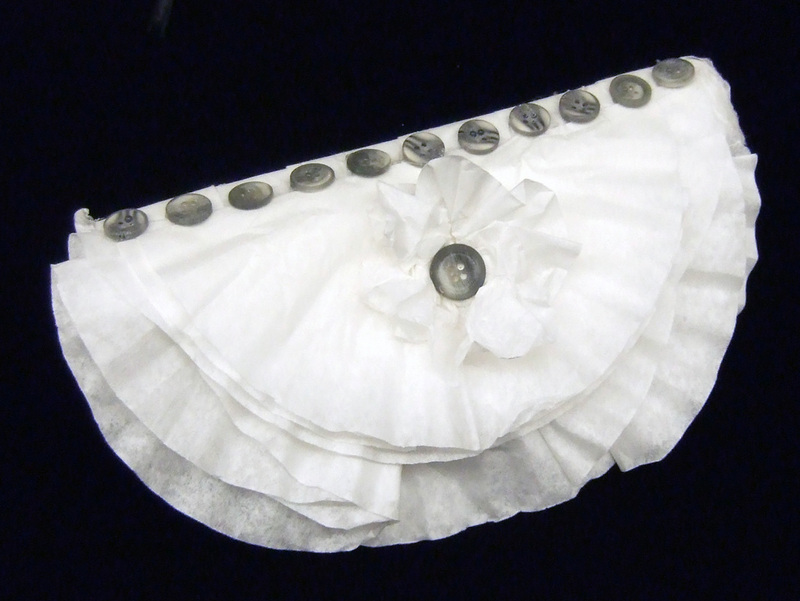 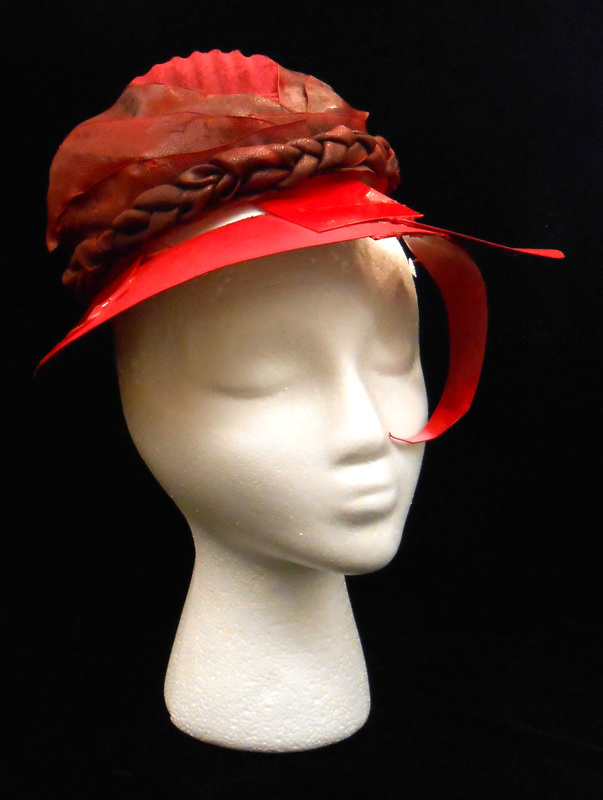 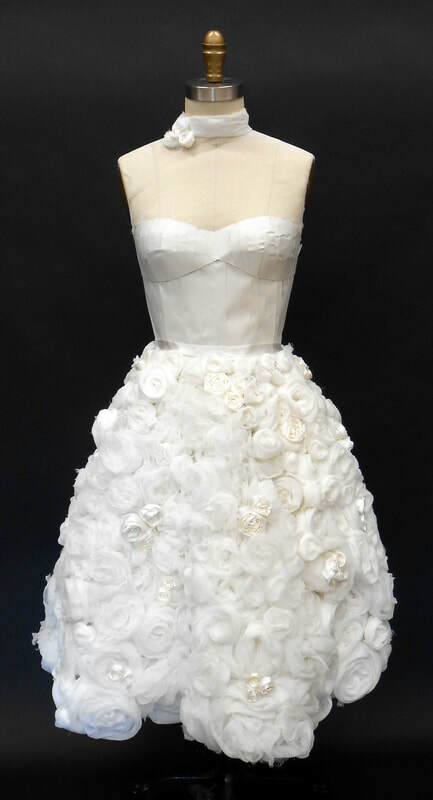 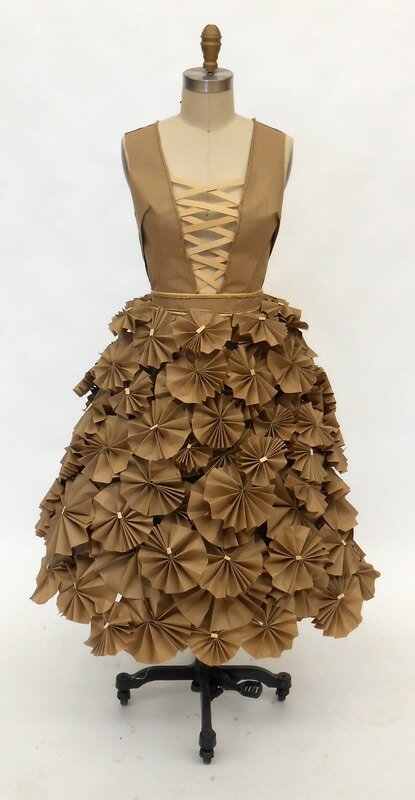 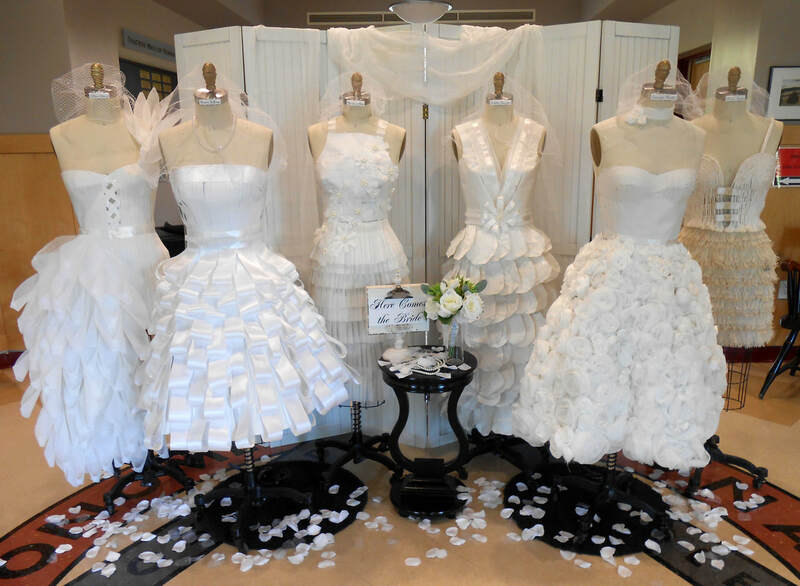 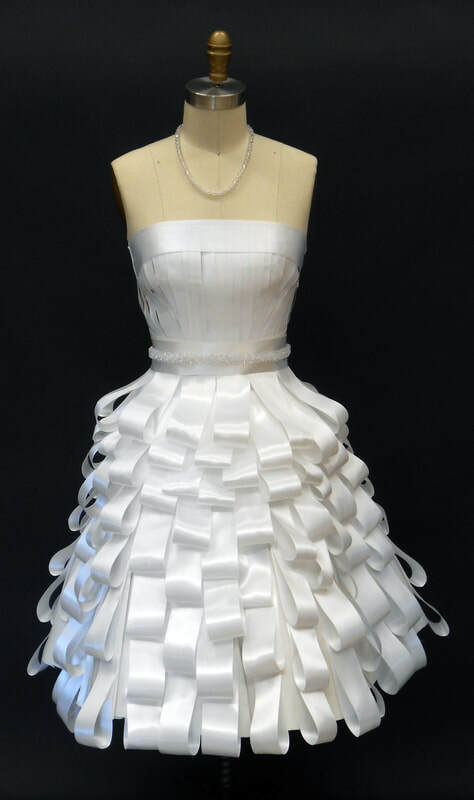 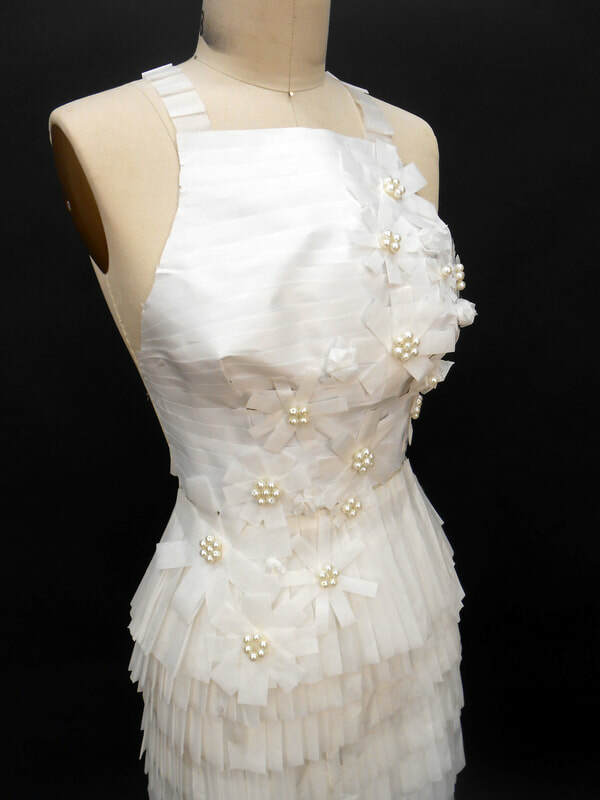 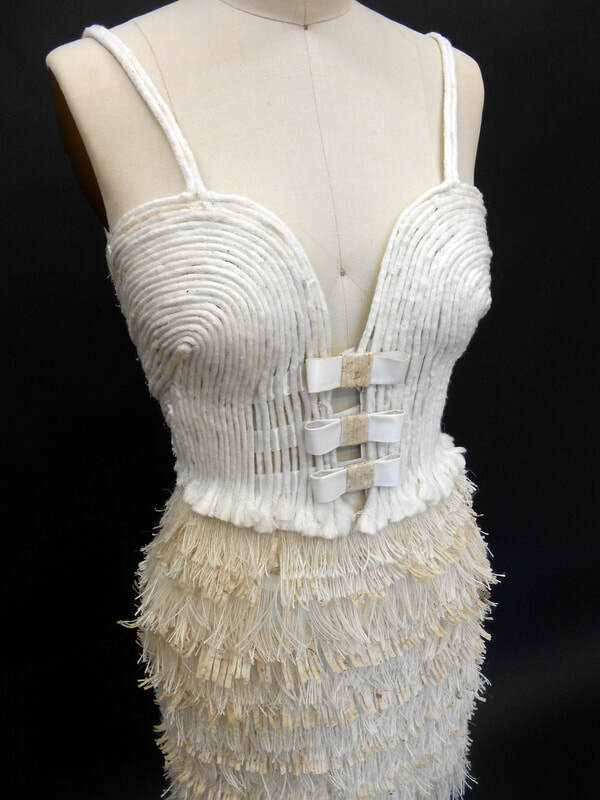 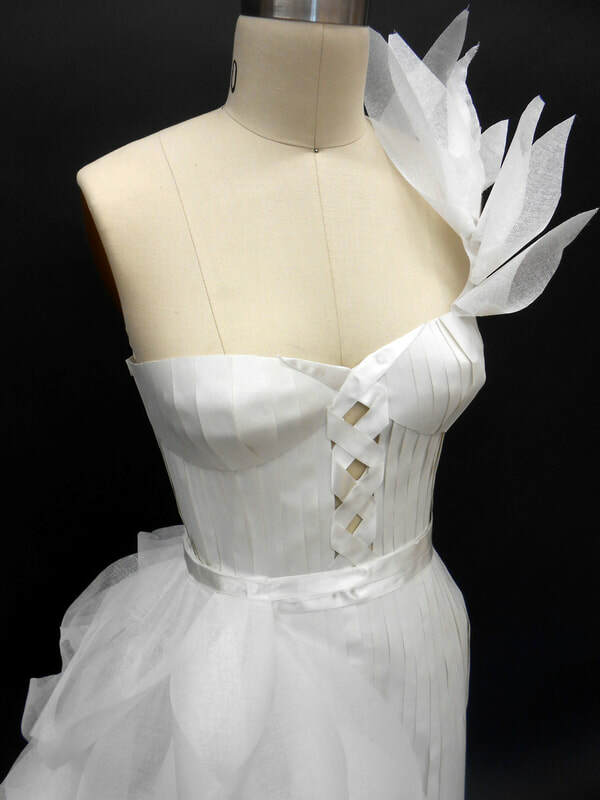 The tops were made out of unconventional materials such as paper, cord, string, cupcake liners and ribbon. 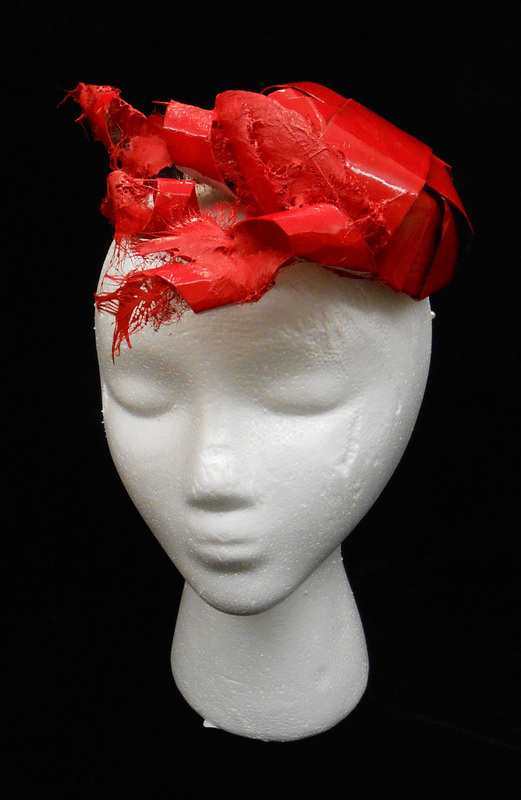 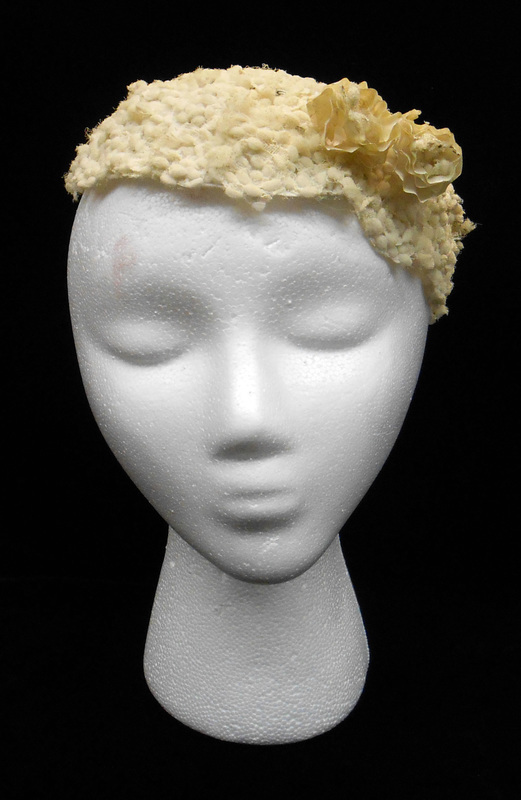 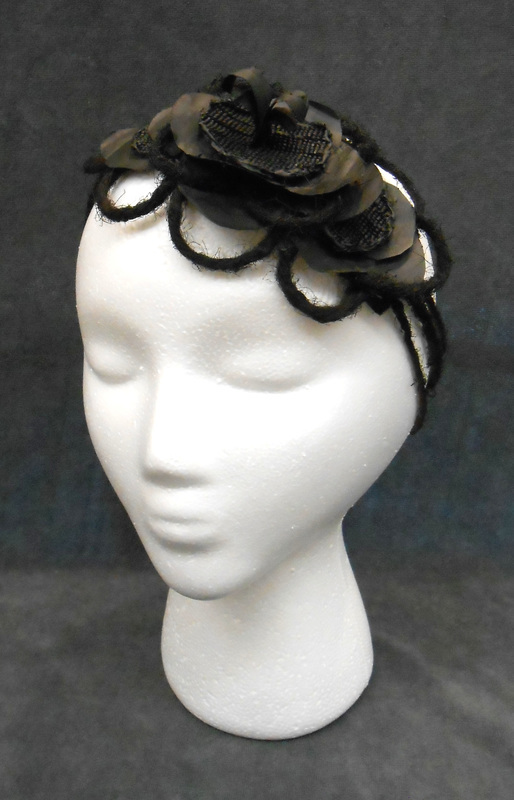 Students then had to create a headpiece that coordinated with their outfit. 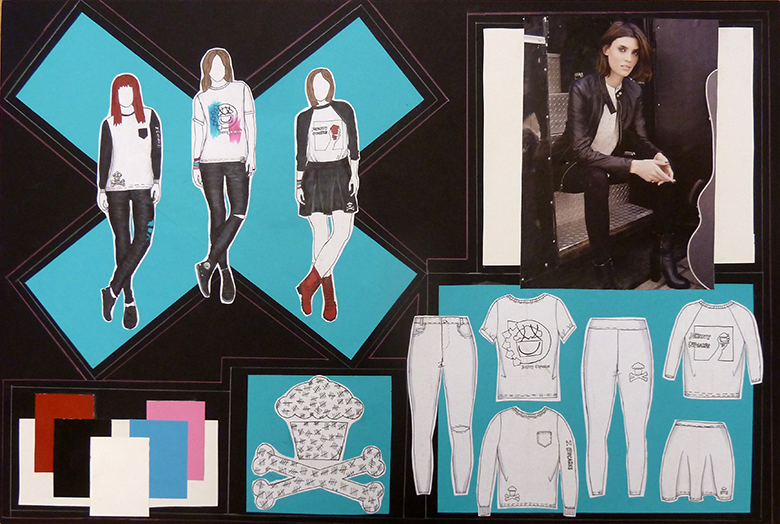 Fashion I - Johnny Cupcakes Challenge - Students designed collections for the Johnny Cupcakes brand and we were lucky enough to have Johnny, himself, come and give feedback on the students' designs. 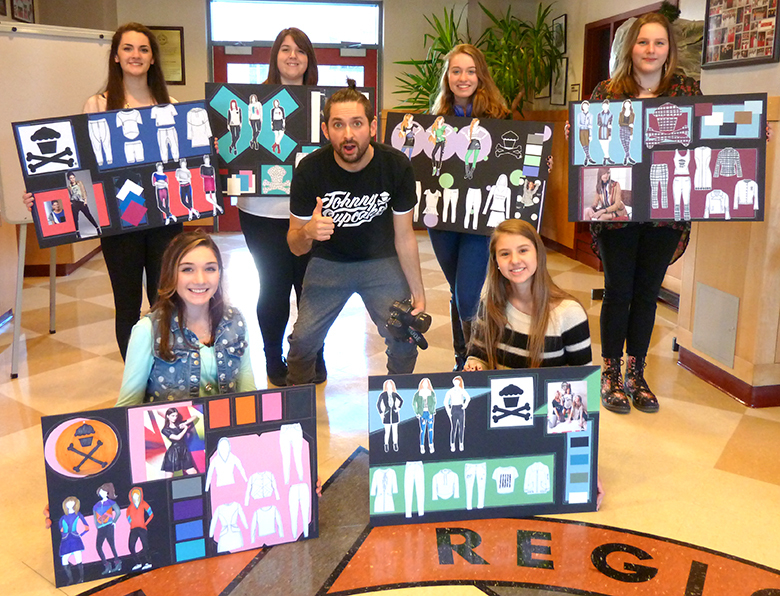 We were so fortunate to have him visit Masconomet. 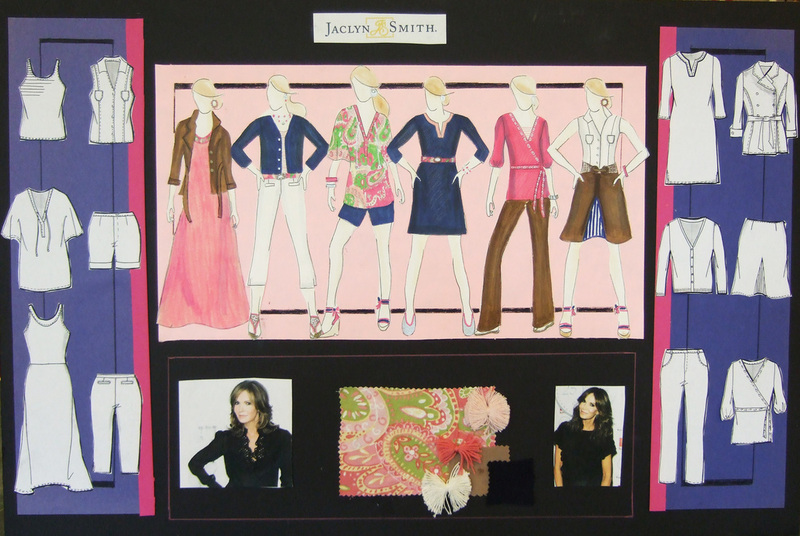 Students created jackets in a fabric of their choice using traditional sewing methods. 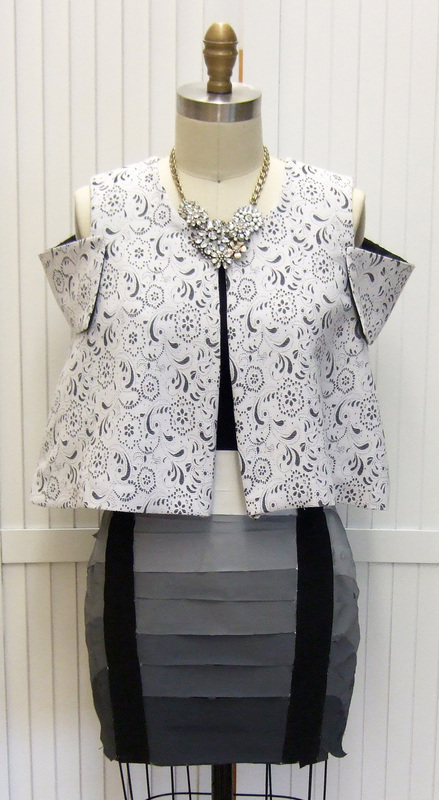 They then had to create a skirt to accompany their jacket made out of newspaper. 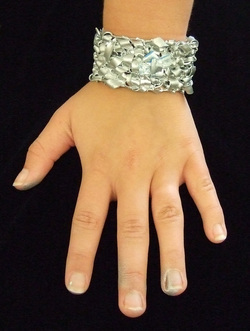 They finished the outfit by "styling" it with accessories brought in from their own personal jewelry collection. 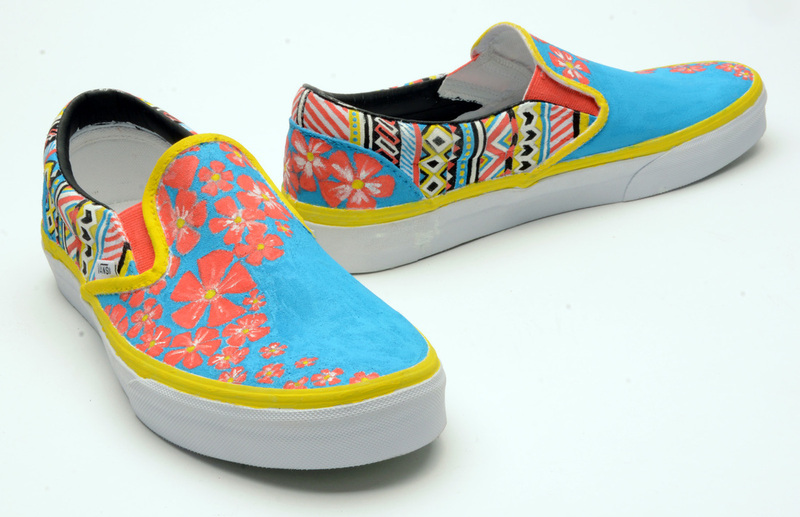 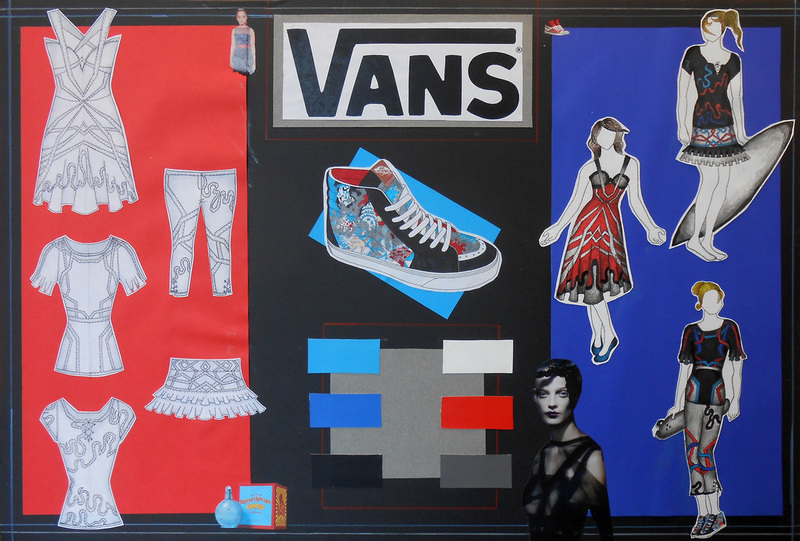 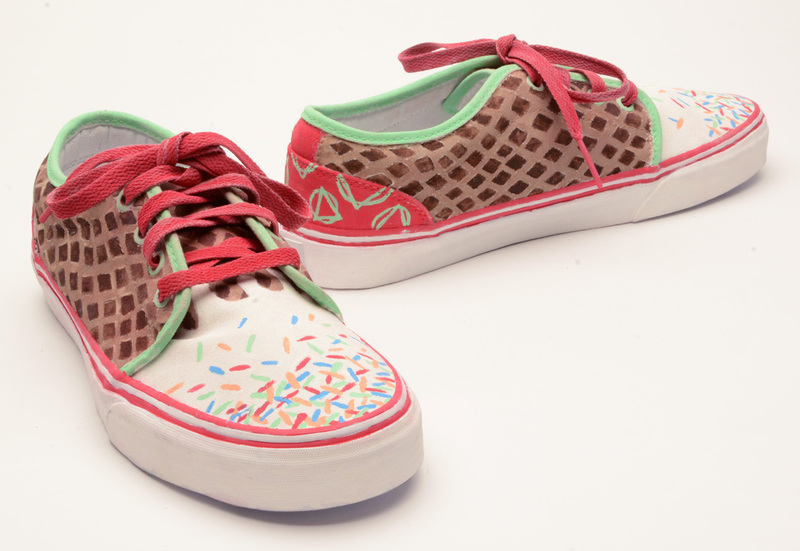 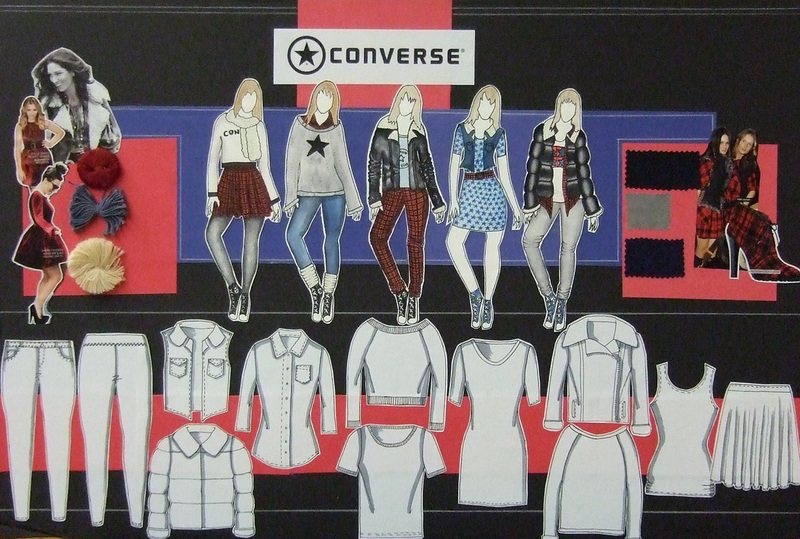 The Fashion Design II class entered the Vans Custom Culture Shoe Competition. 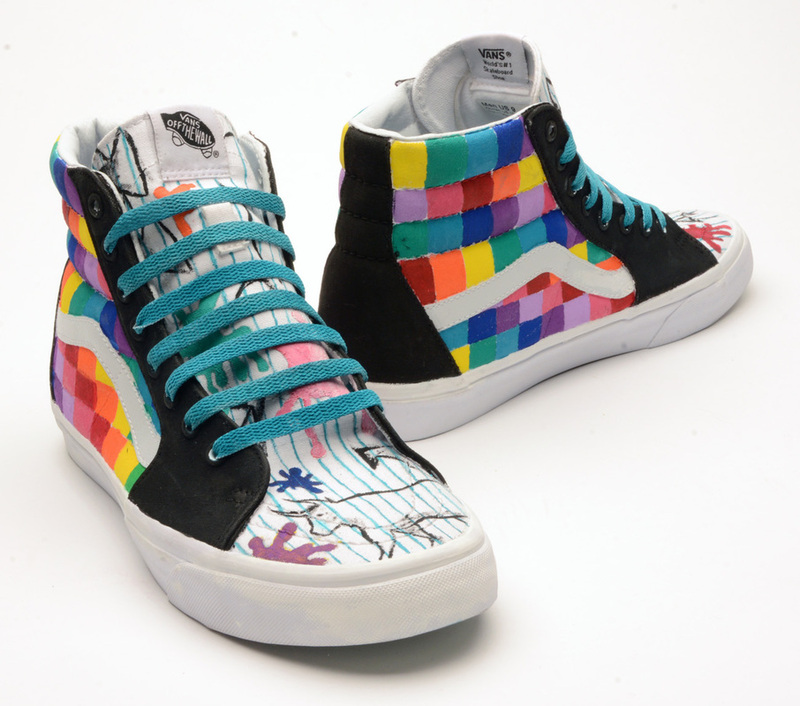 Vans sends four pairs of Vans shoes to high schools across the United States. 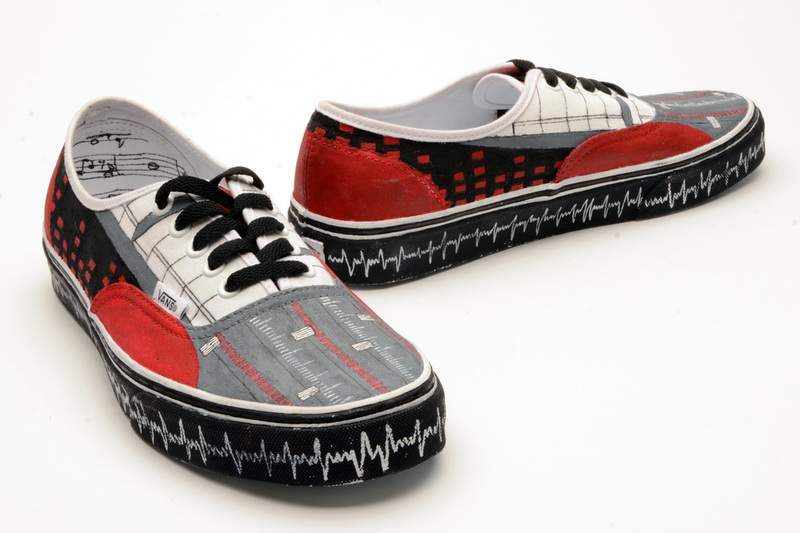 Students are asked to design them using the four themes: Art, Music, Local Flavor and Action Sports. 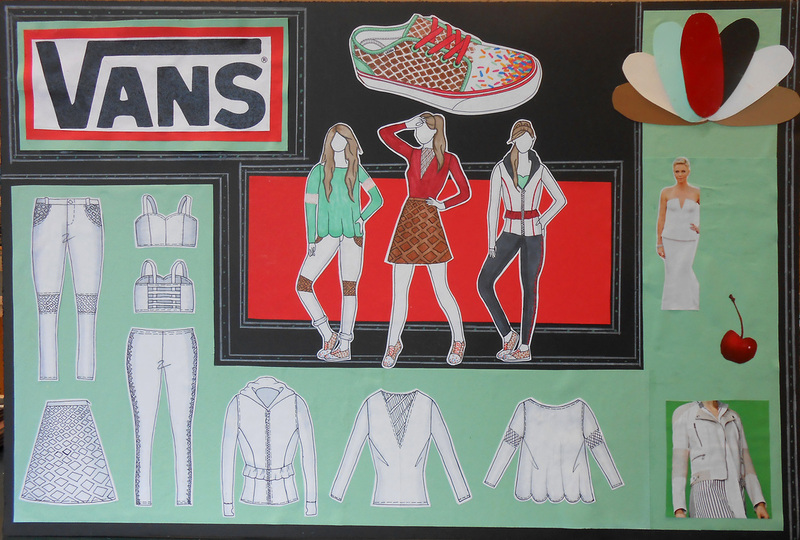 Students worked in teams of 3 or 4 to create each of the shoes below. 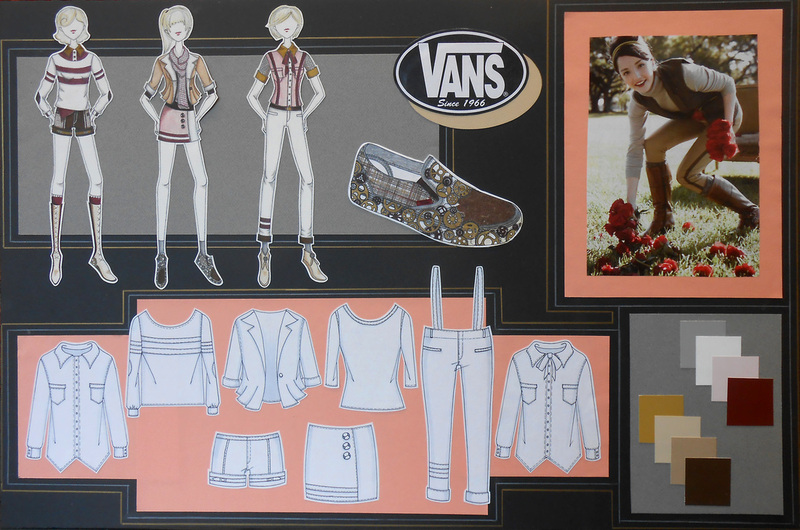 In this challenge, students were asked to design a shoe for Vans and create a collection inspired by their shoe. 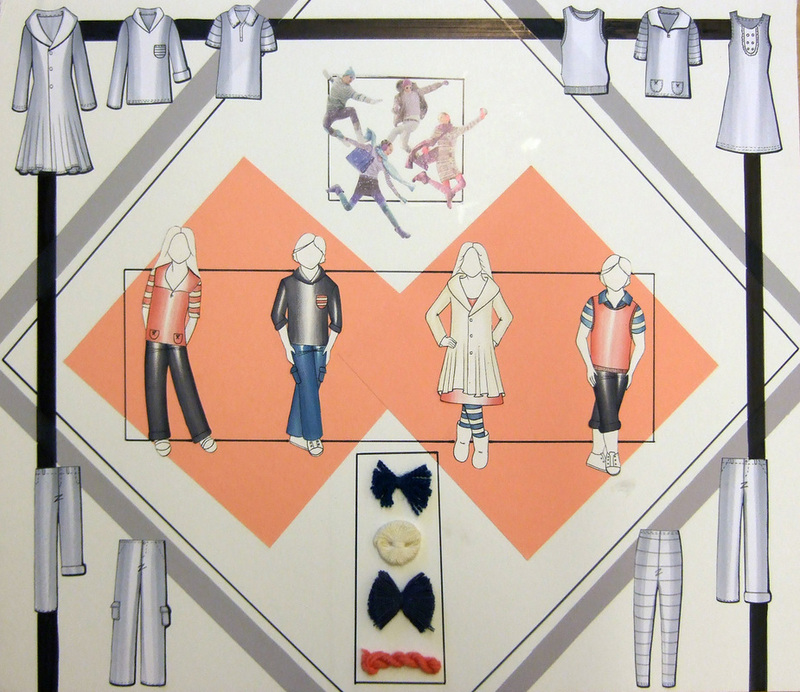 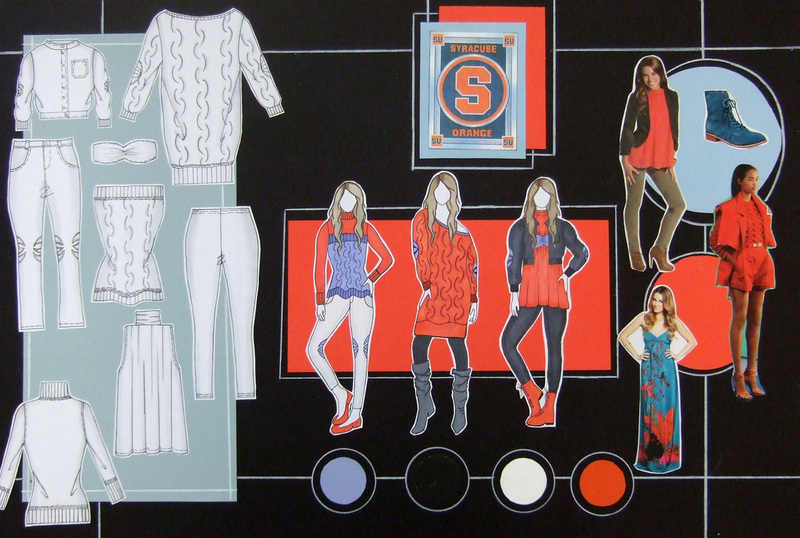 In this challenge students were asked to design a collection of clothing they would like to see sold in the Syracuse University bookstore. 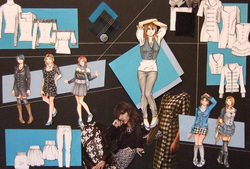 Syracuse University Fashion Design faculty looked at every board and gave feedback to each student. 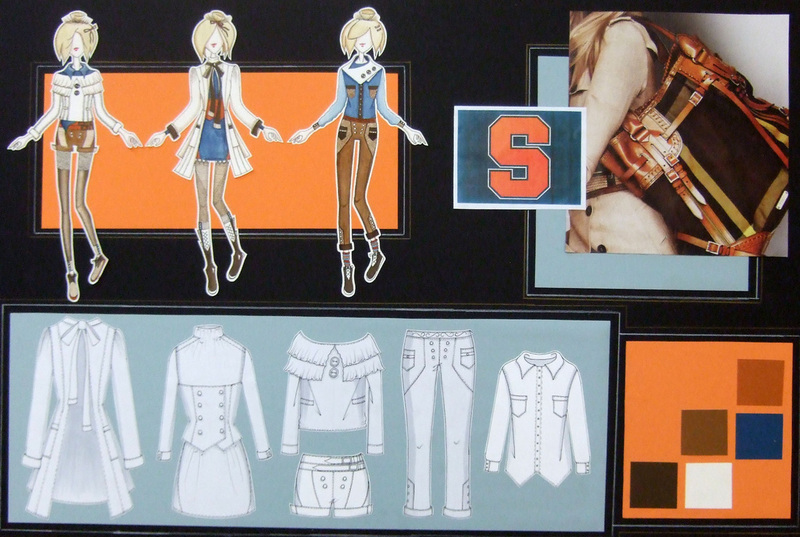 They also awarded the grand prize winner a fully paid scholarship to the Syracuse Summer Fashion Program. 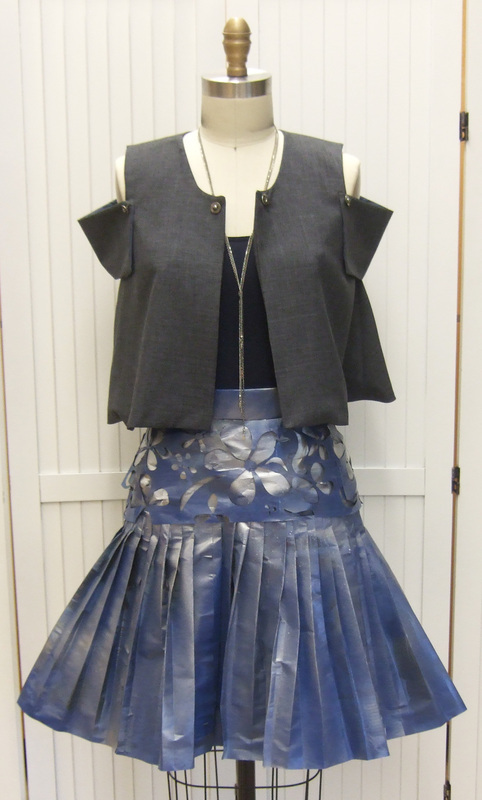 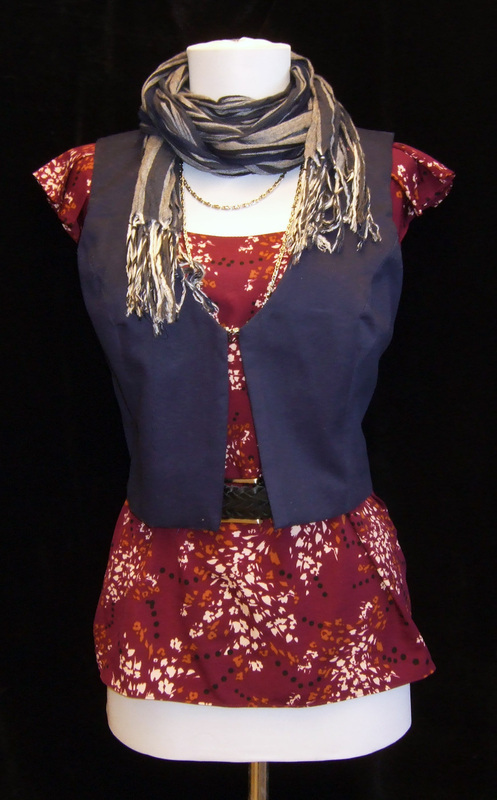 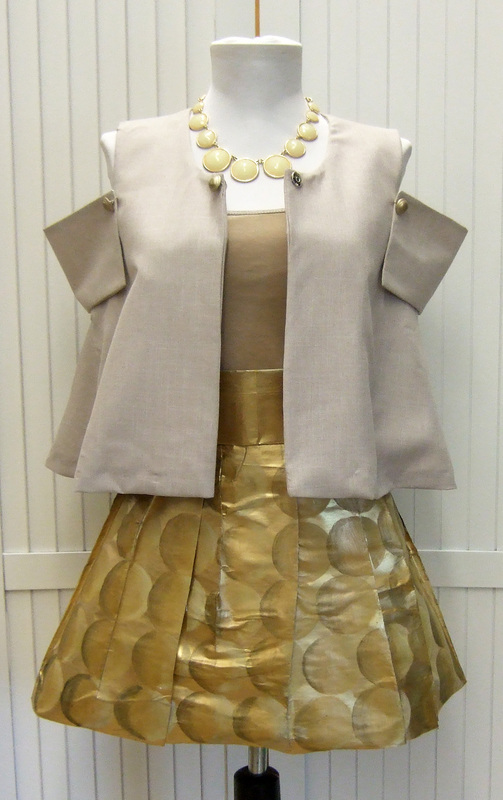 Students created a pencil skirt using traditional methods of pattern making and sewing. 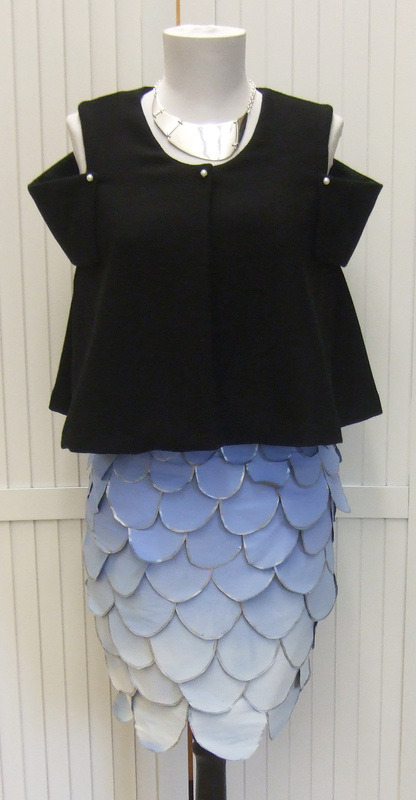 They were then asked to make a top to coordinate with their skirts, however, the tops had to be made out of unconventional materials. 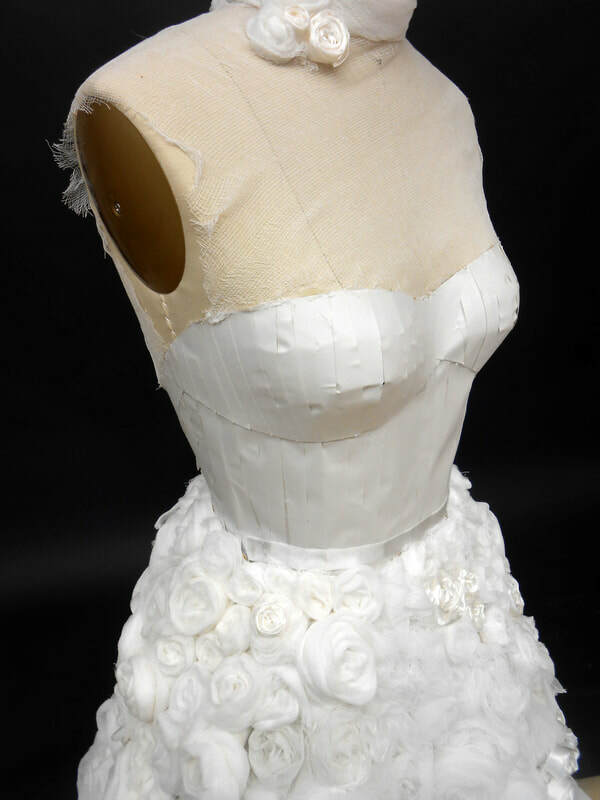 Some of the materials used in the tops are newspaper, coffee filters, ribbons, plastic bags and plastic water bottles. 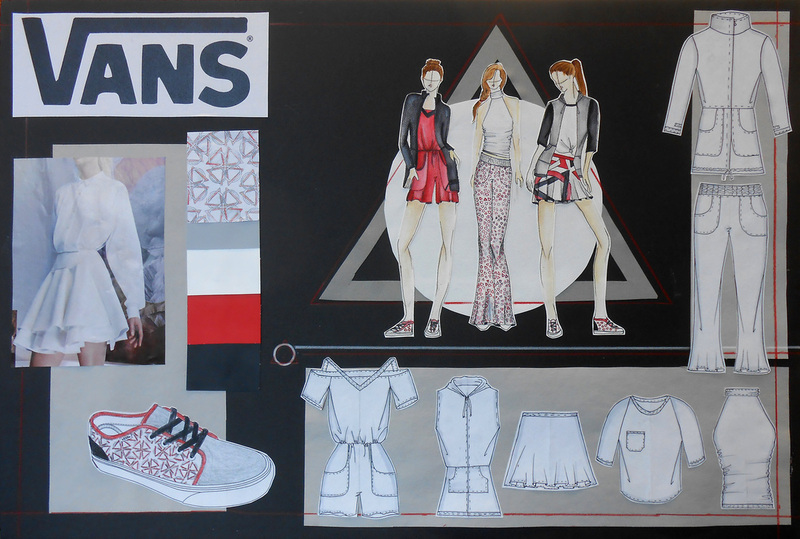 For this challenge, students were given a photograph taken by a photography club member. 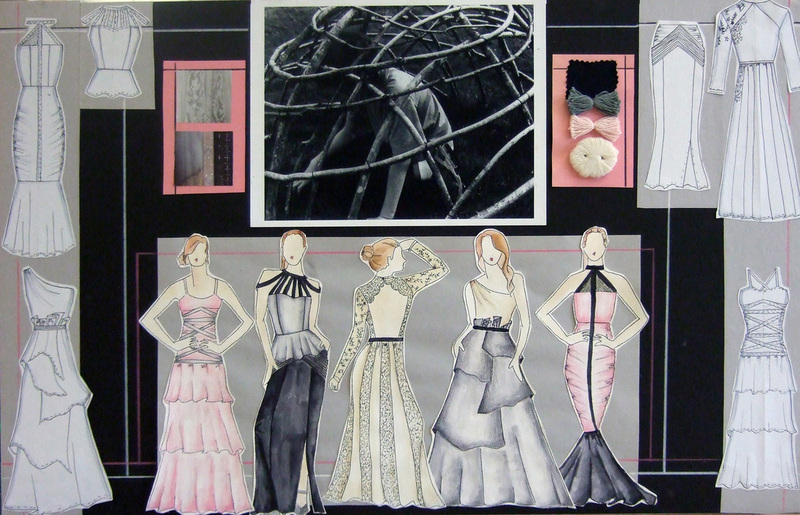 Students were then asked to create a collection inspired by the photograph. 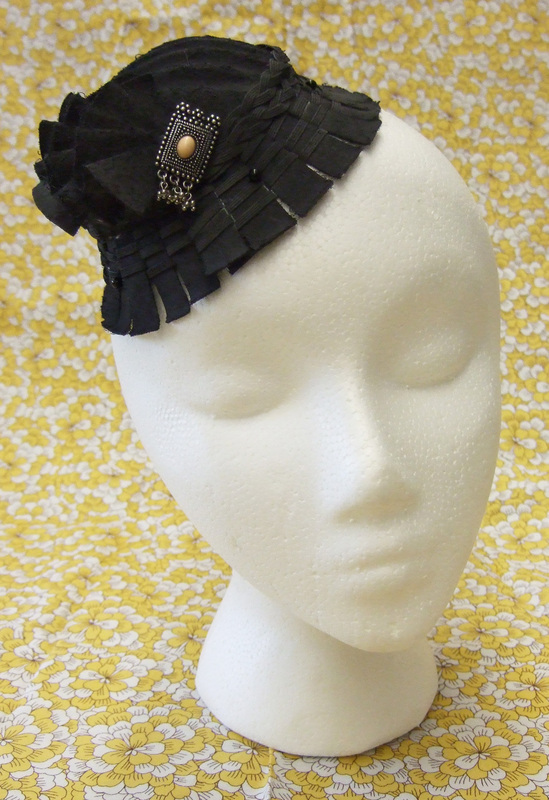 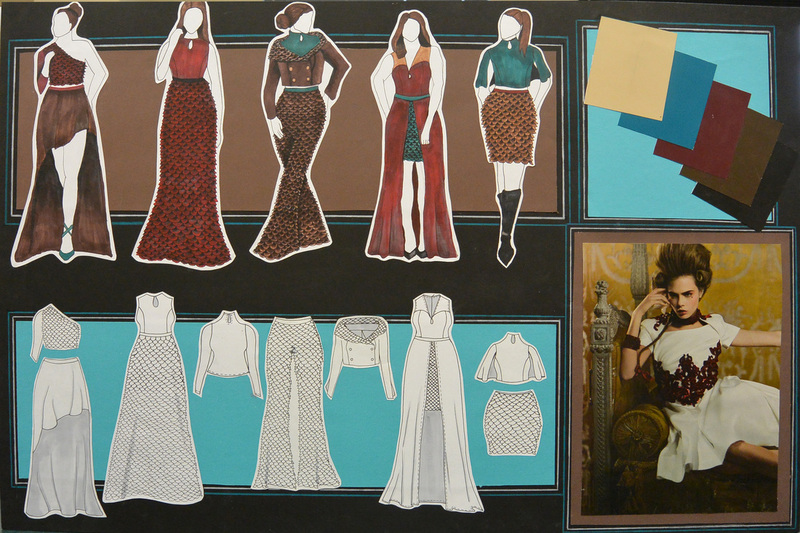 Mad Men Challenge: Students were given the challenge of designing a collection inspired by one of the female characters on Mad Men. 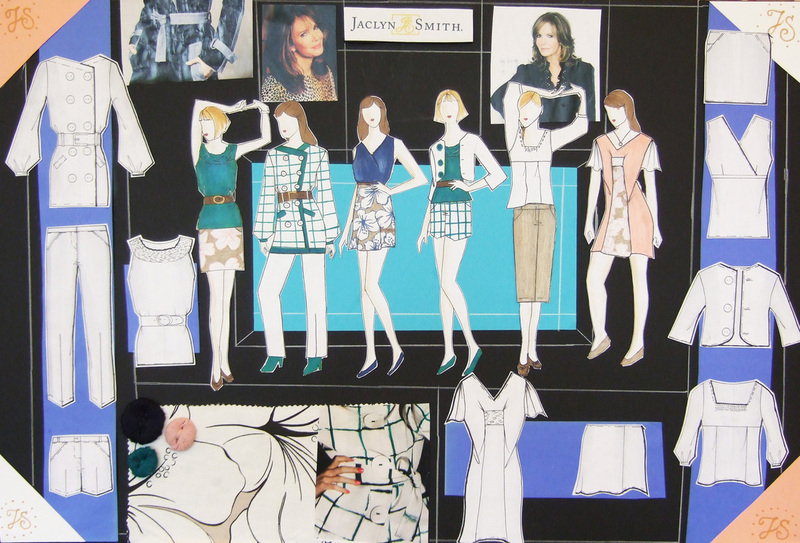 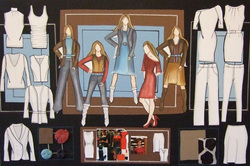 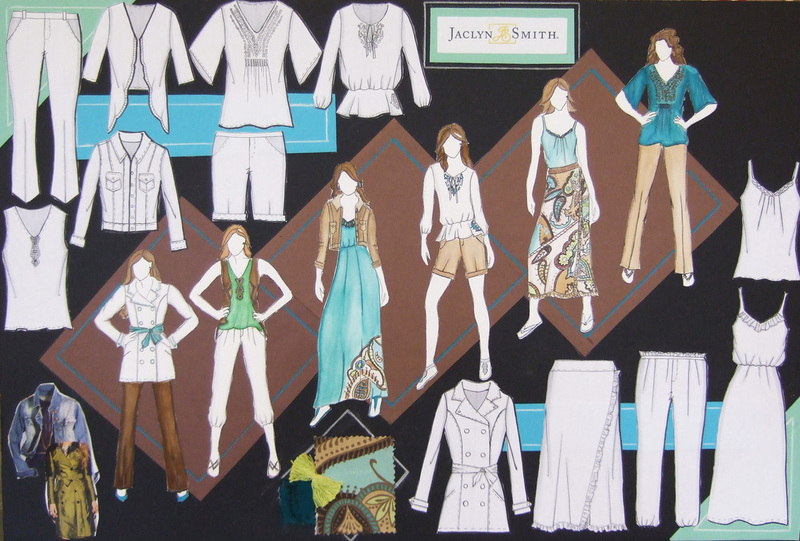 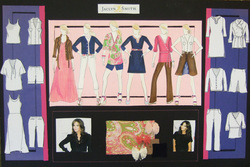 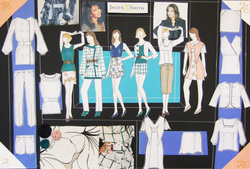 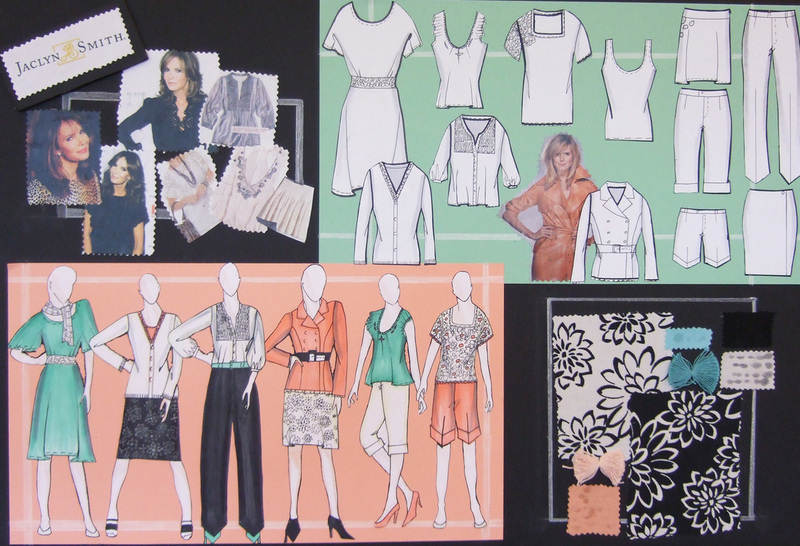 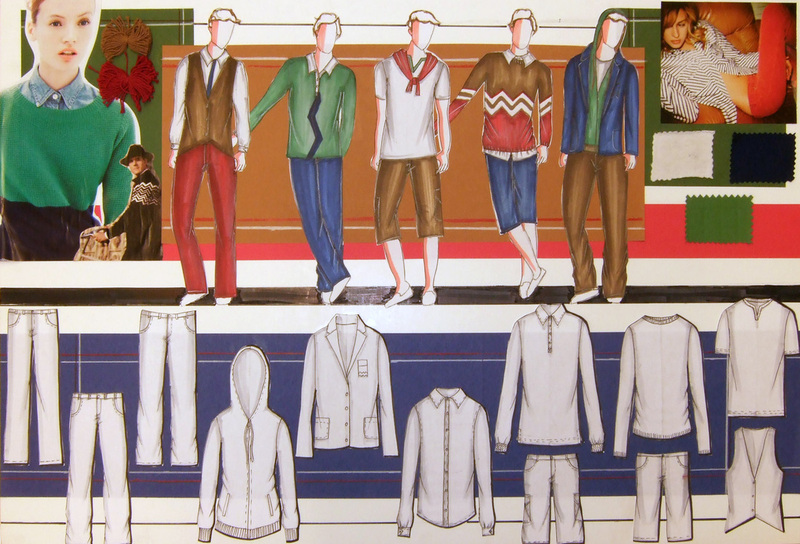 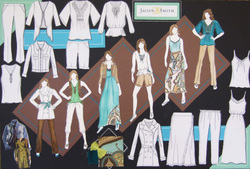 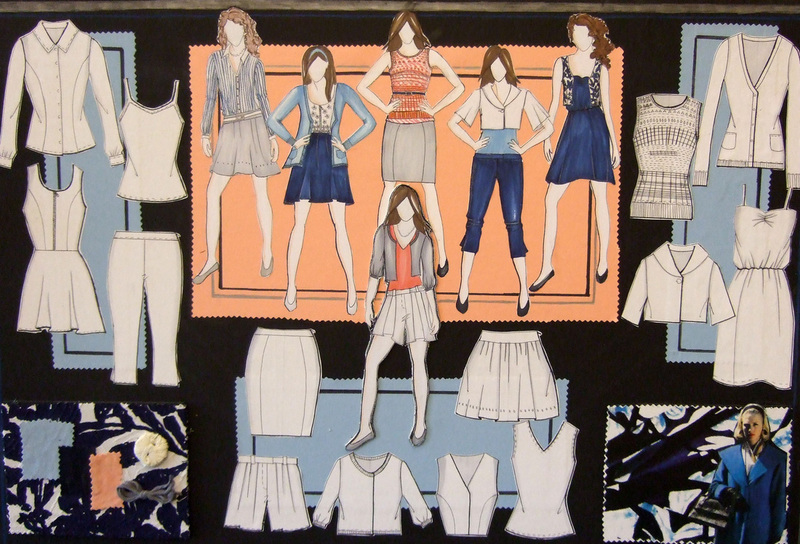 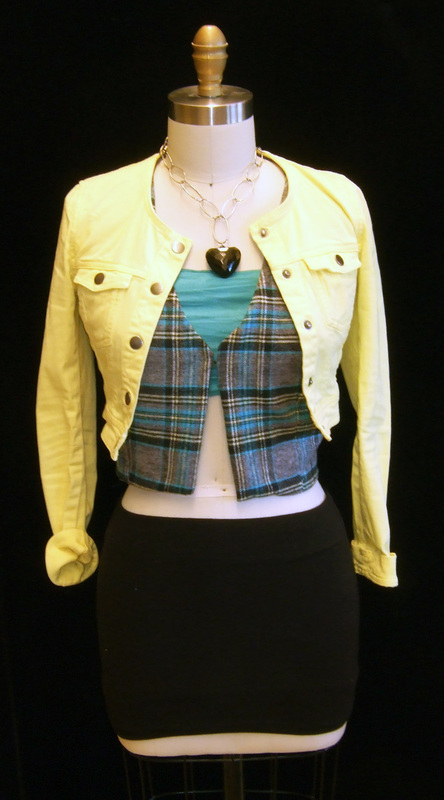 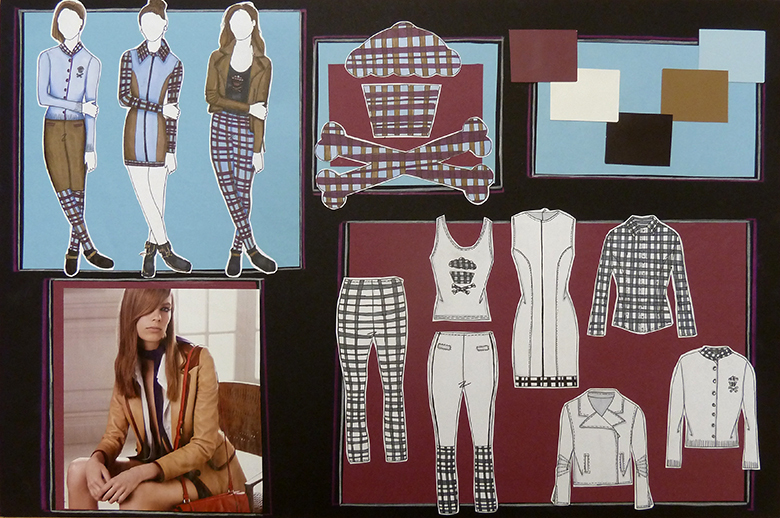 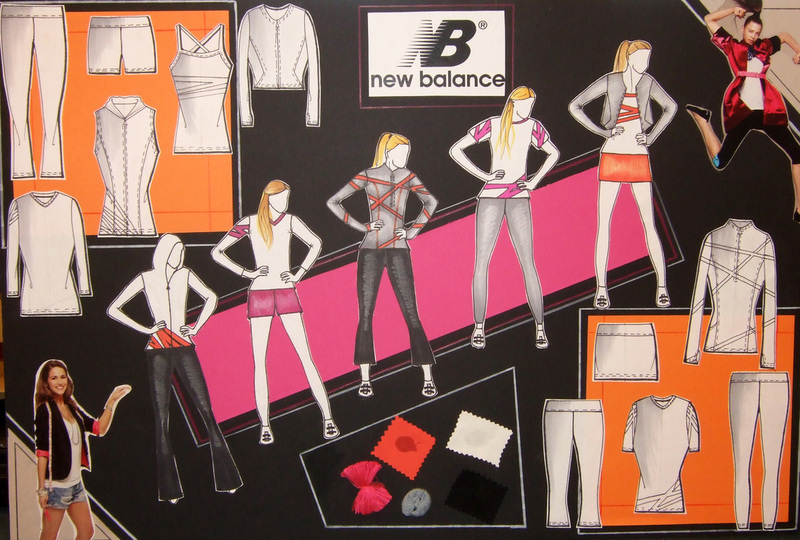 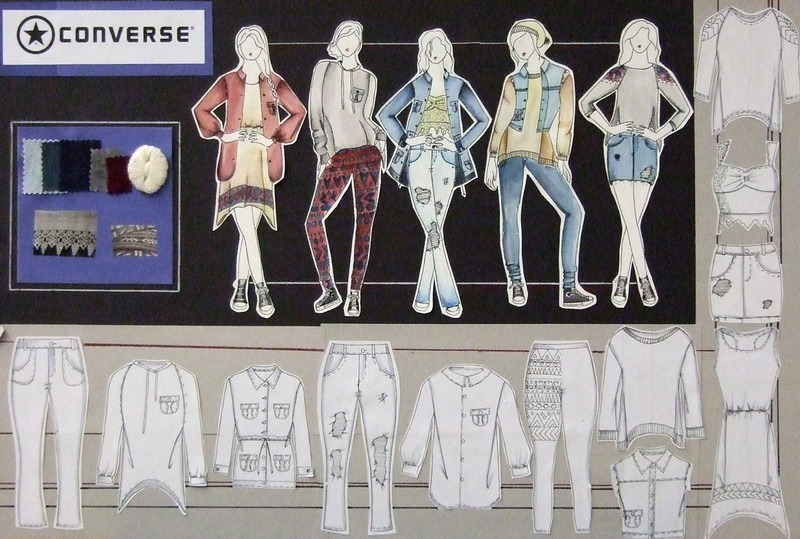 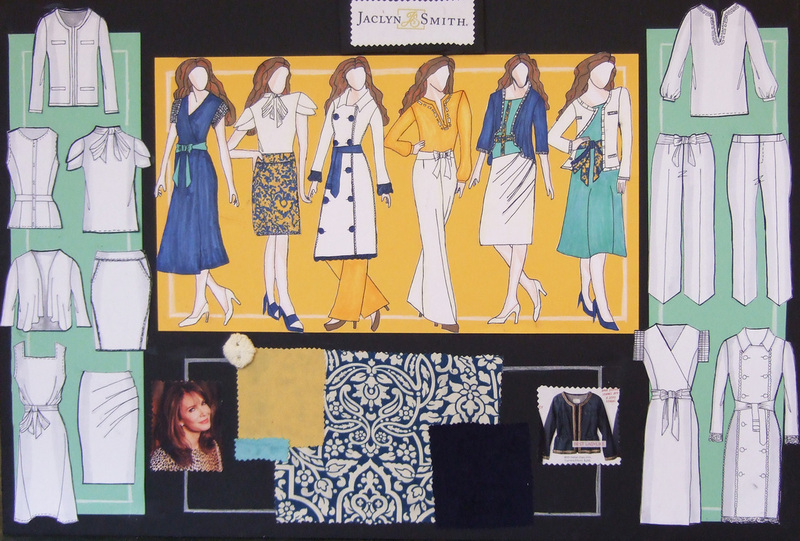 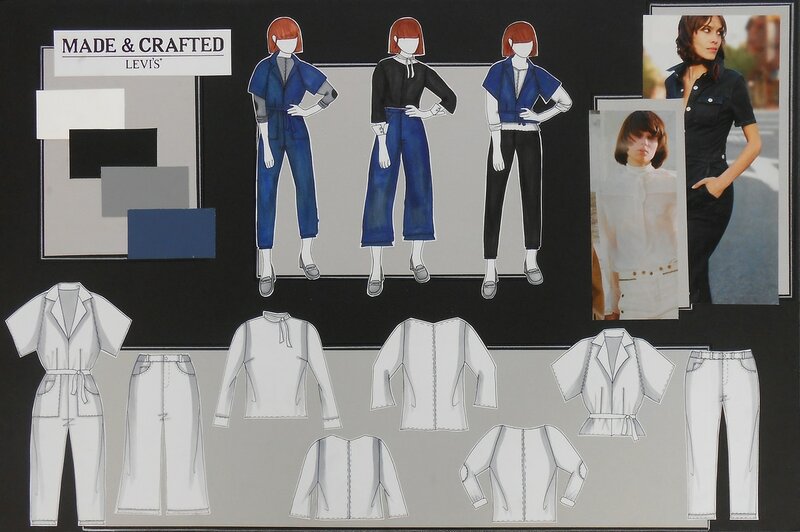 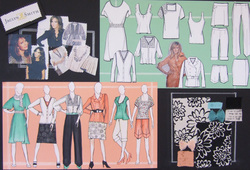 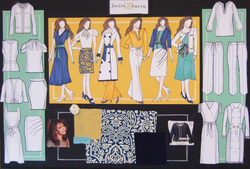 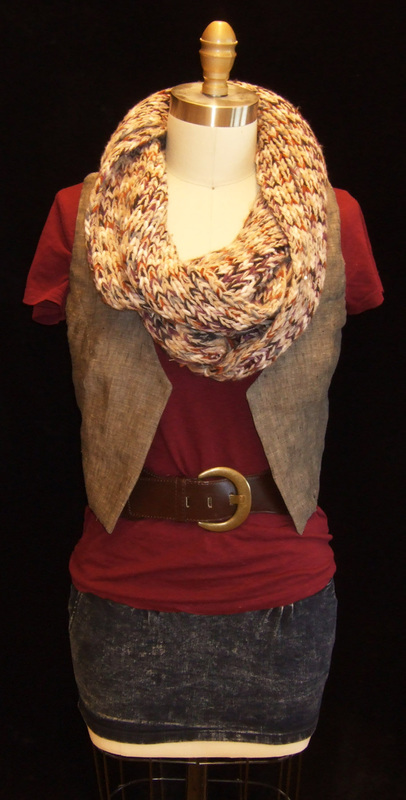 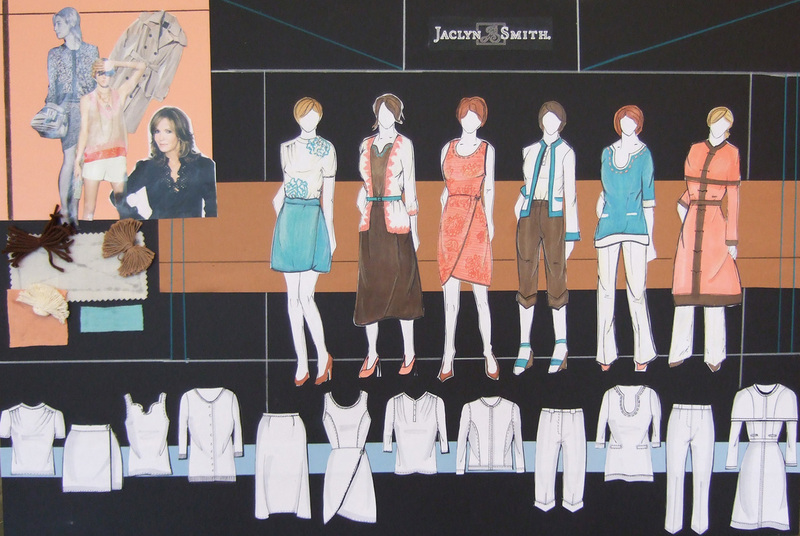 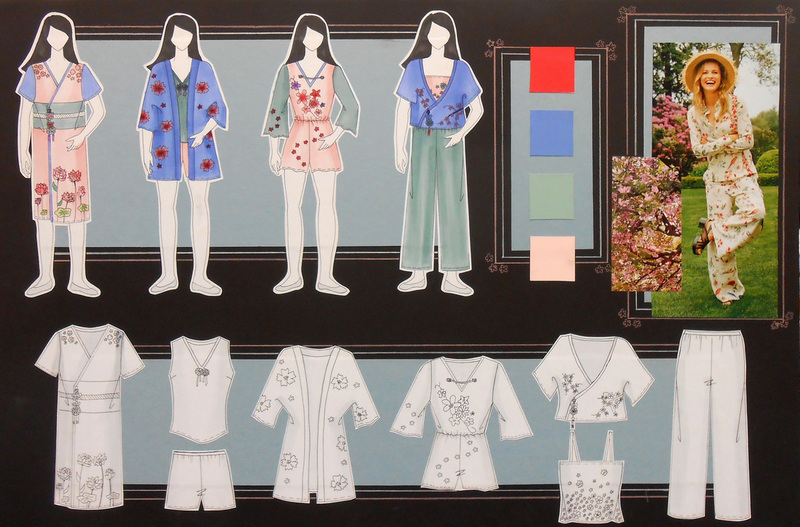 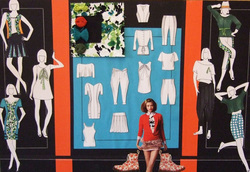 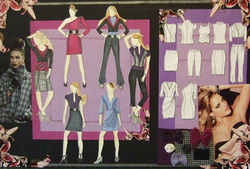 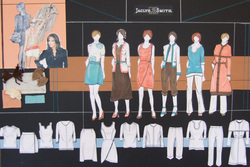 Jaclyn Smith for KMart Challenge: Students designed a collection for the Jaclyn Smith 2012 Spring line. 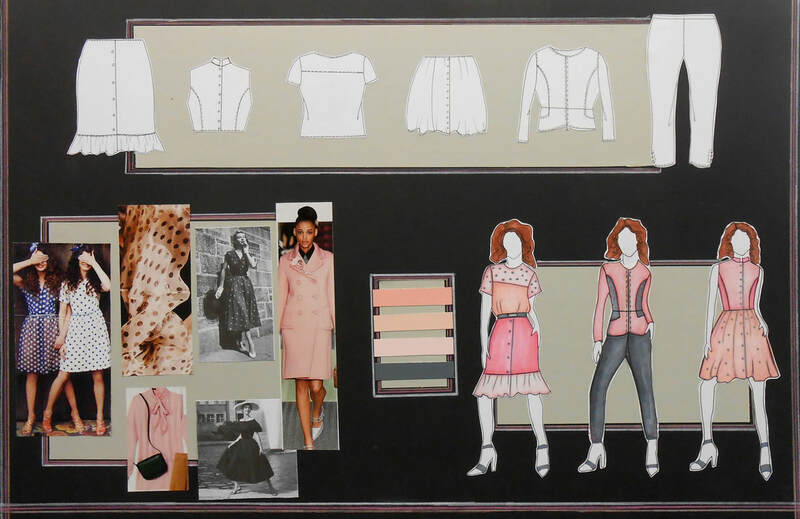 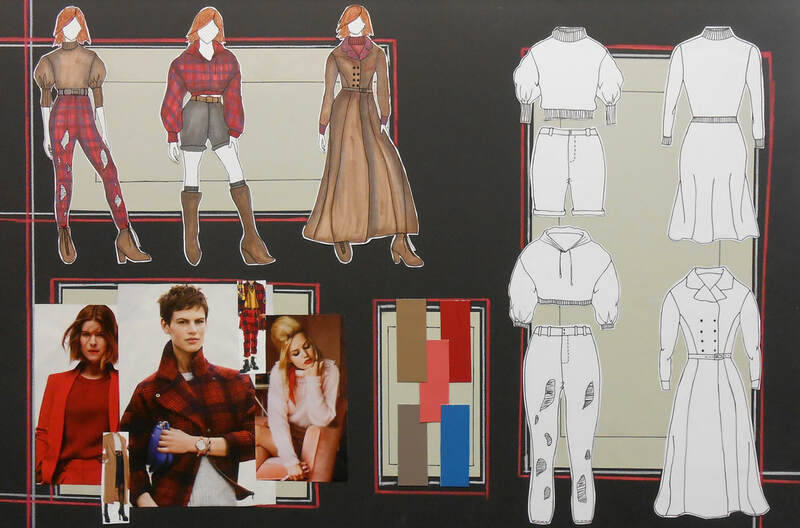 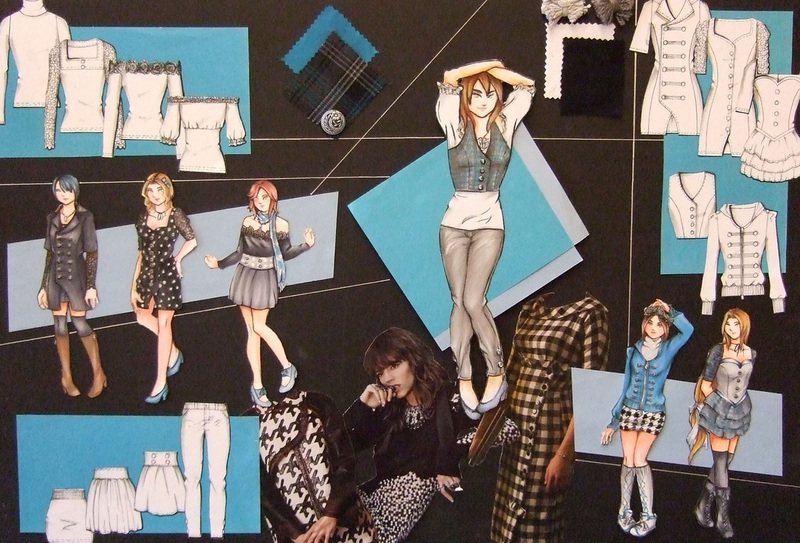 The Young and The Restless Fashion Design Challenge: Students were asked to design outfits for the character "Chloe" on The Young and The Restless. 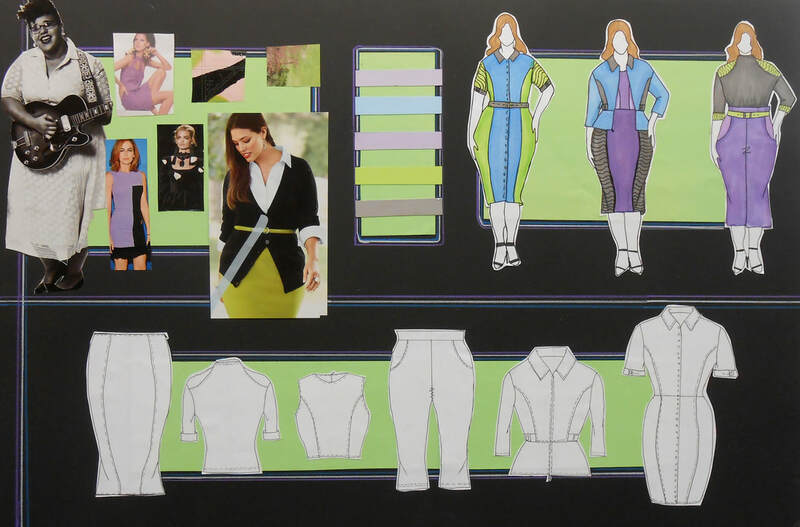 Student work was then sent to the wardrobe department at Y&R, and they, along with the actress who plays Chloe, gave feed back on the work and chose a challenge winner. 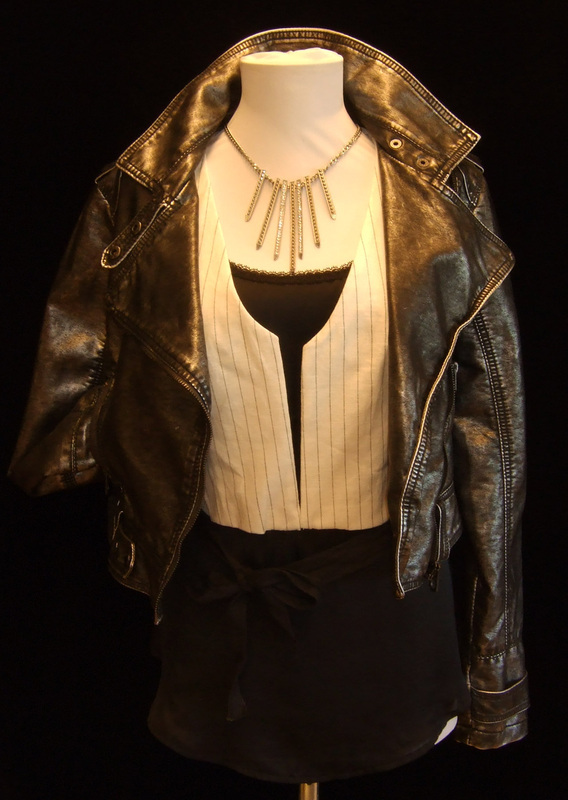 The winner then got a necklace from Chloe's wardrobe! 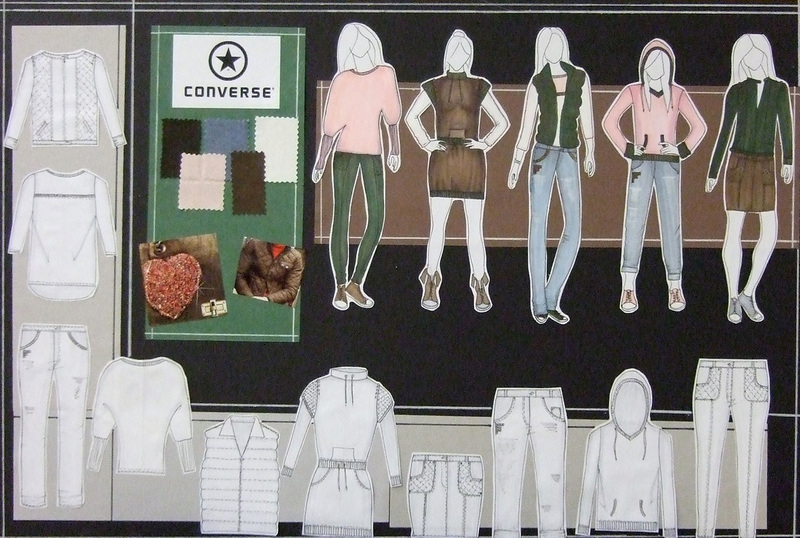 Below is the video from Y&R featuring the student work.